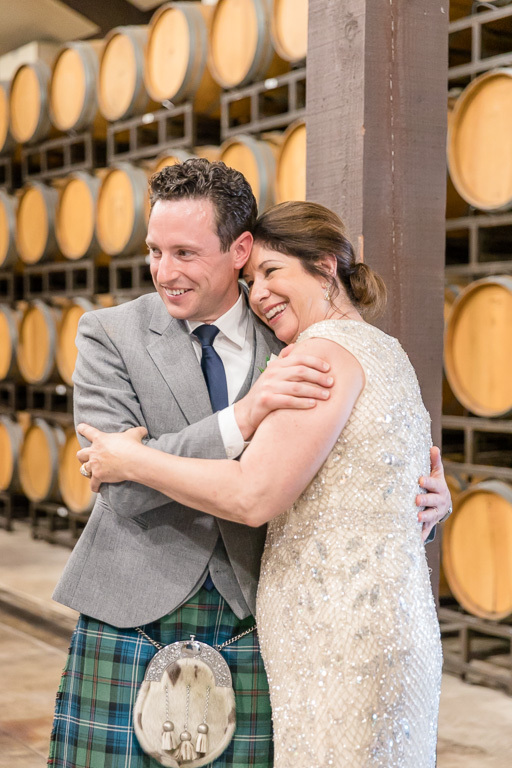 We’re lucky enough to have been following David & Teryn’s story for almost a year. 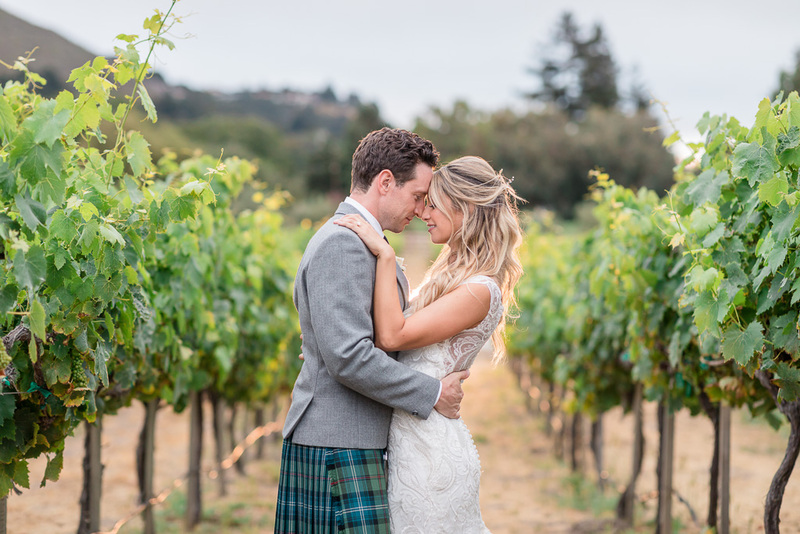 David contacted us about a photo shoot while he was still planning his proposal, and a few weeks later, the four of us met up in Santa Cruz for their engagement photos. 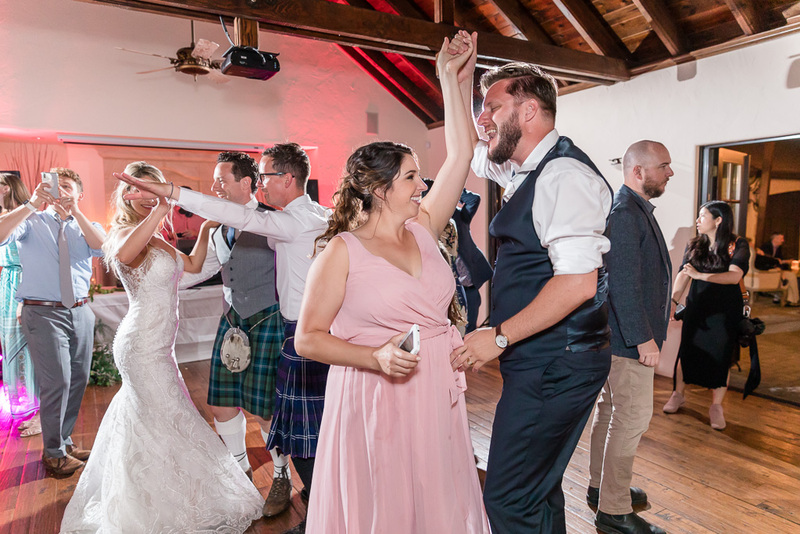 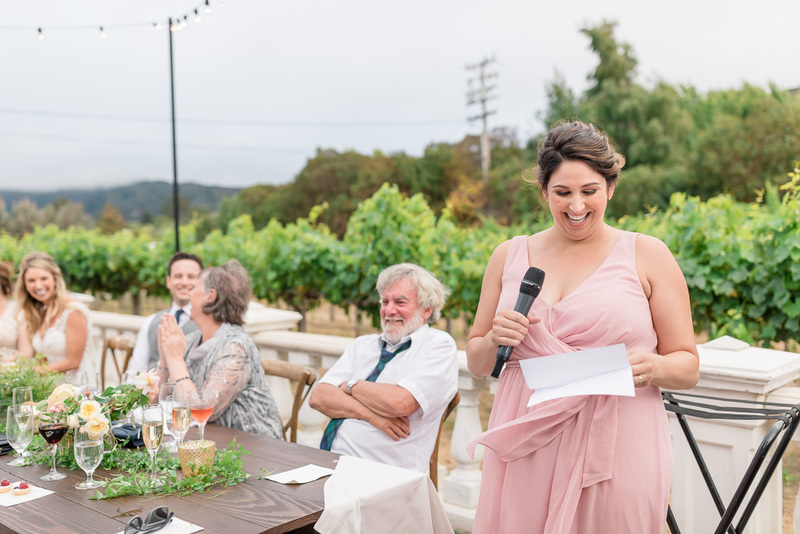 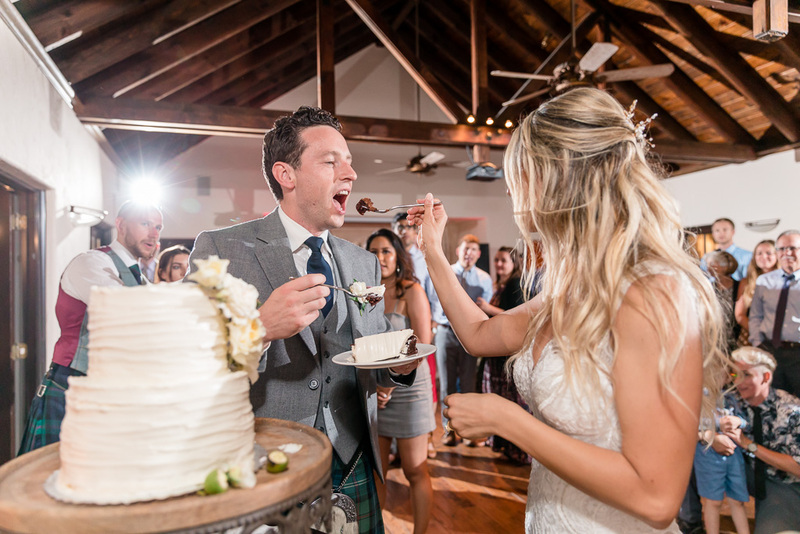 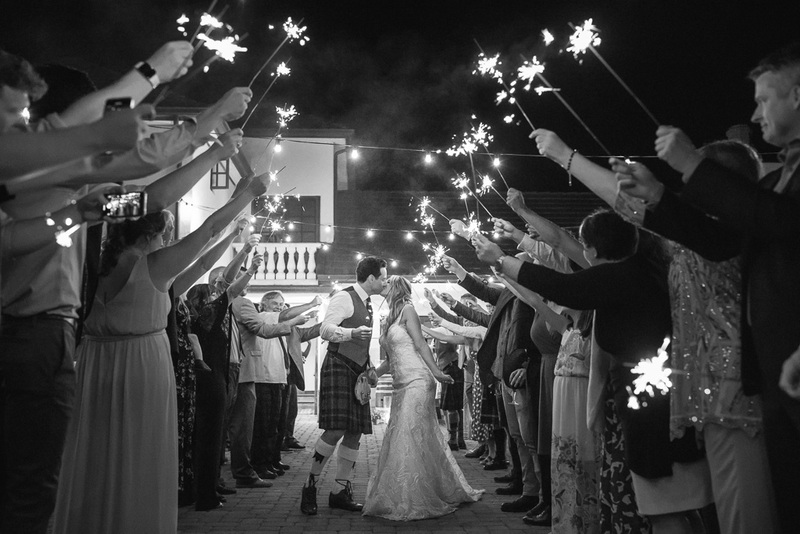 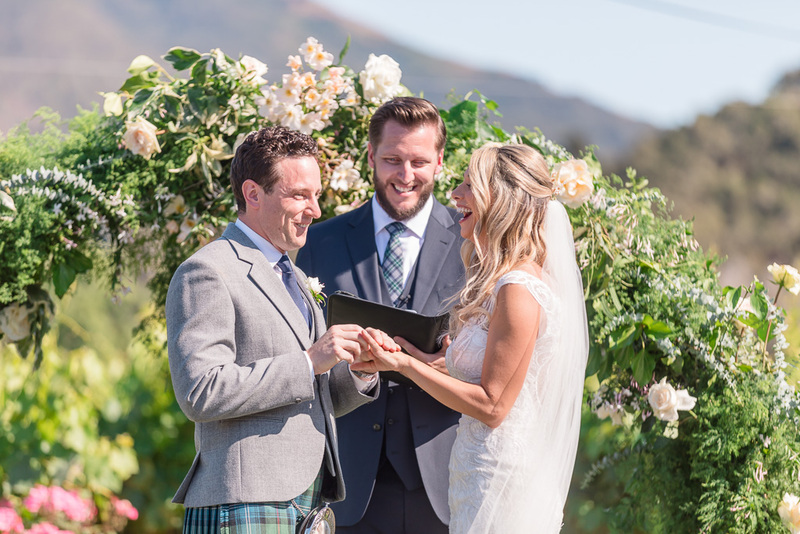 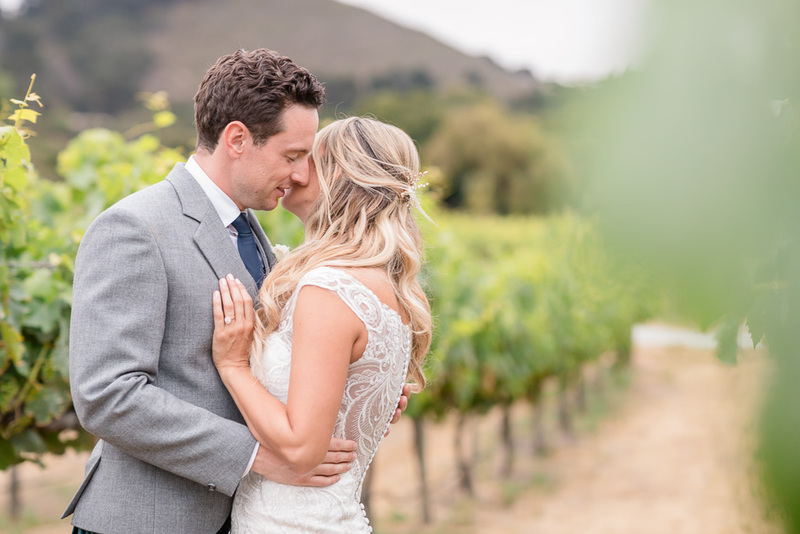 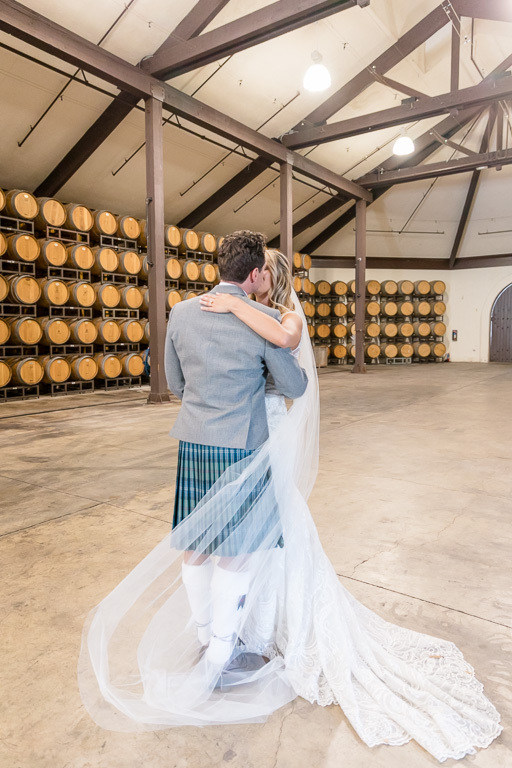 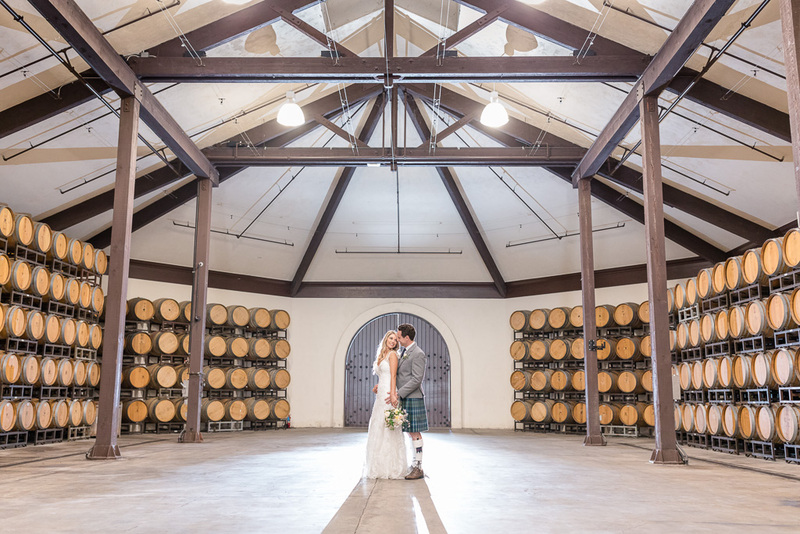 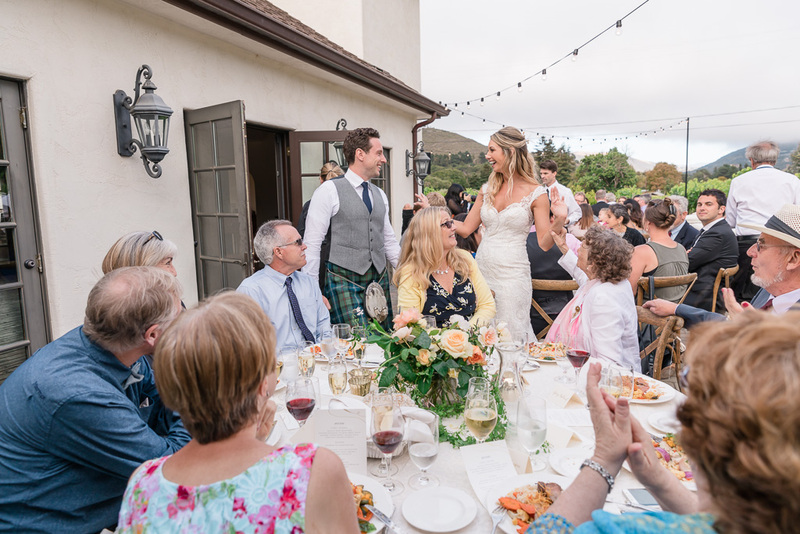 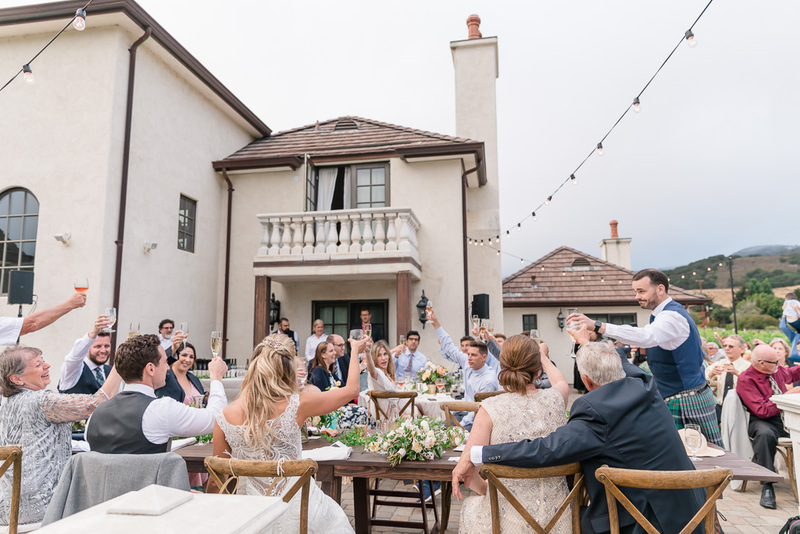 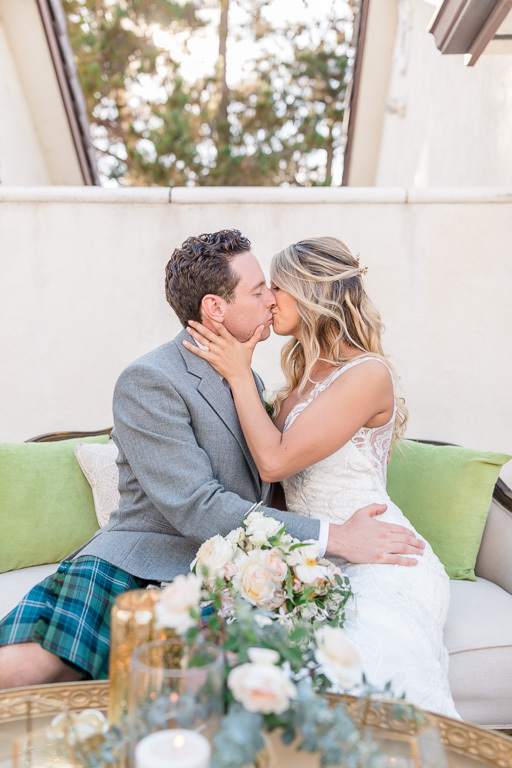 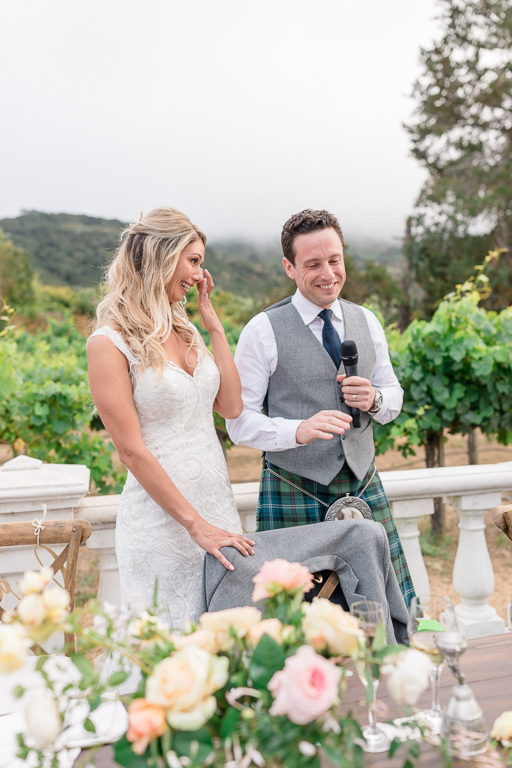 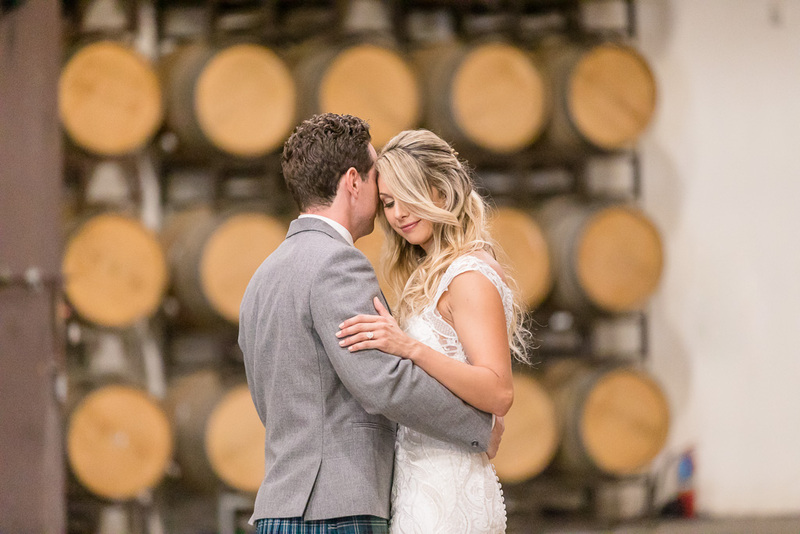 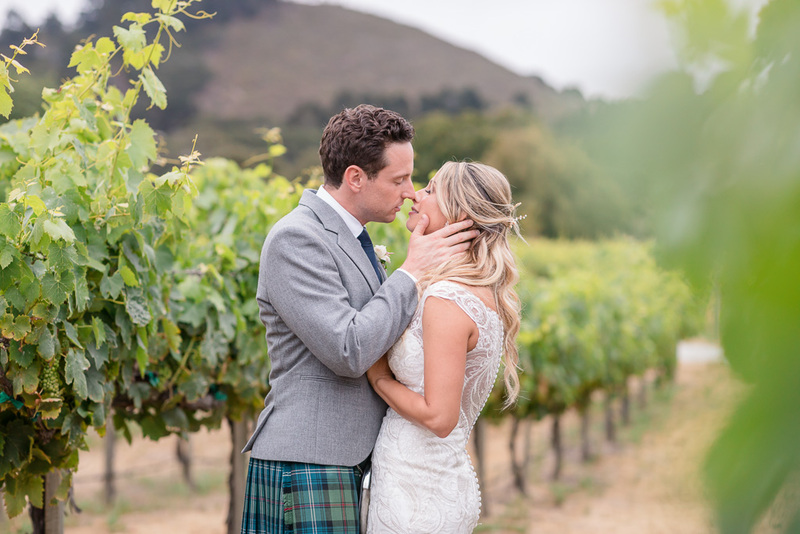 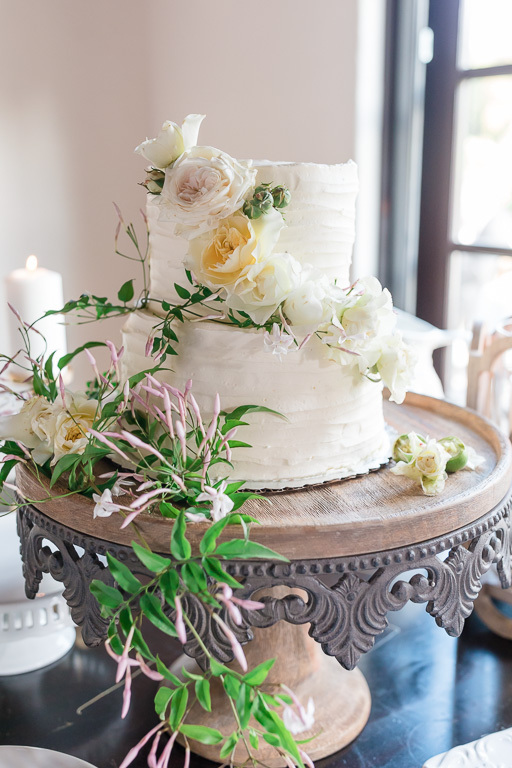 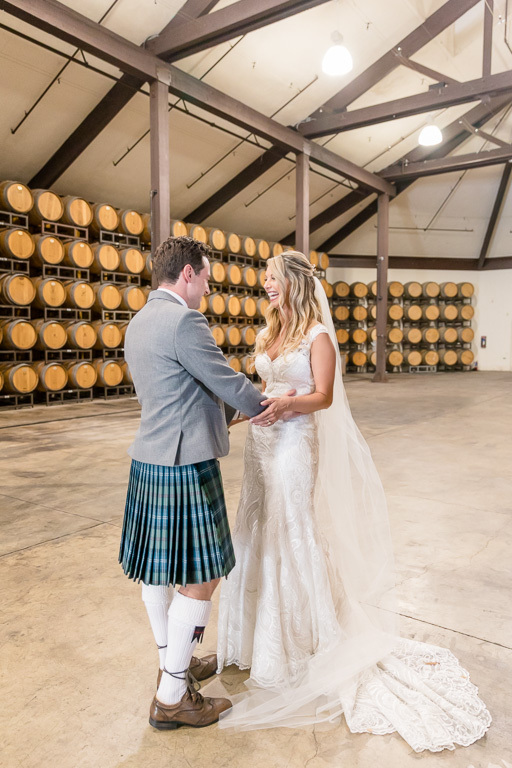 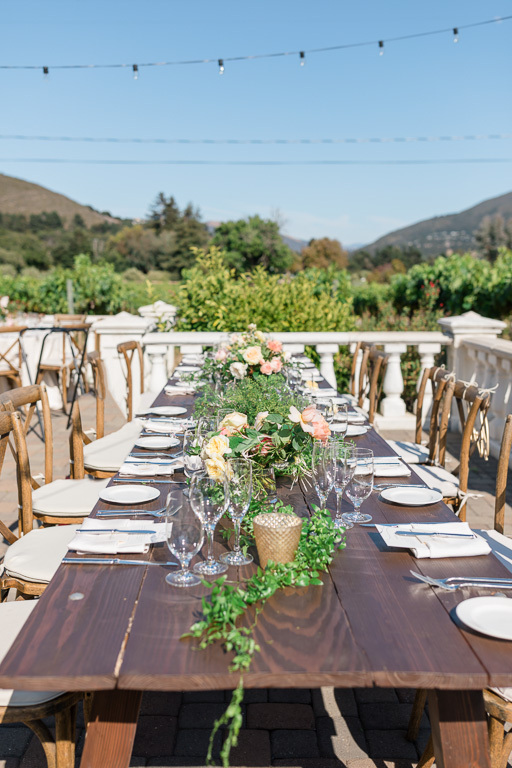 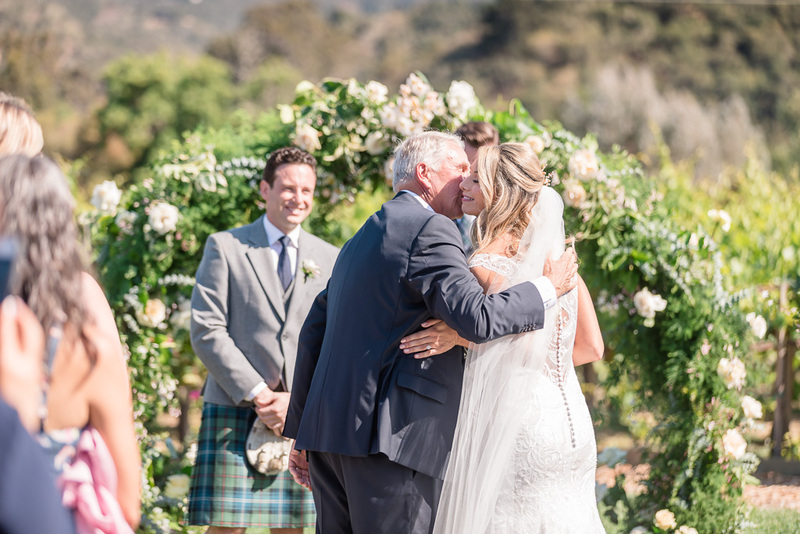 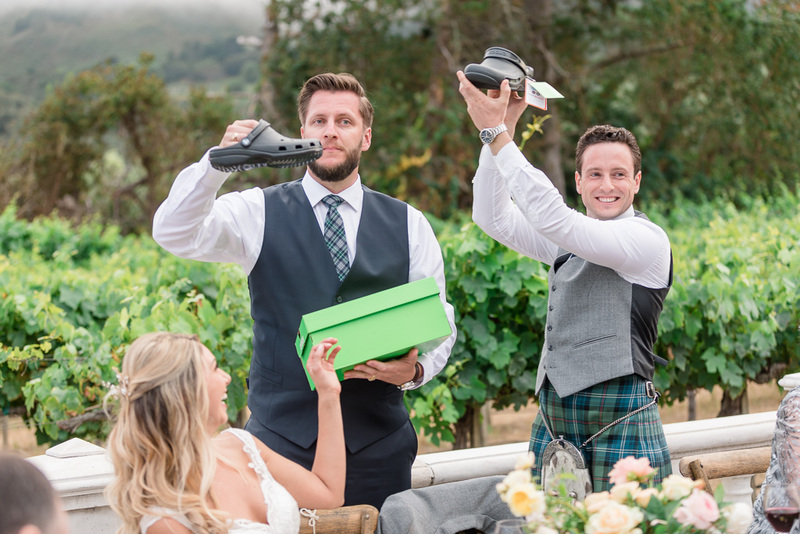 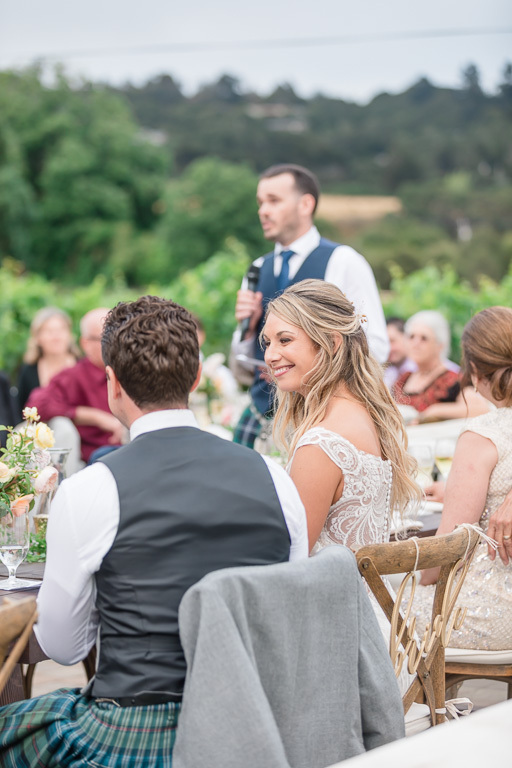 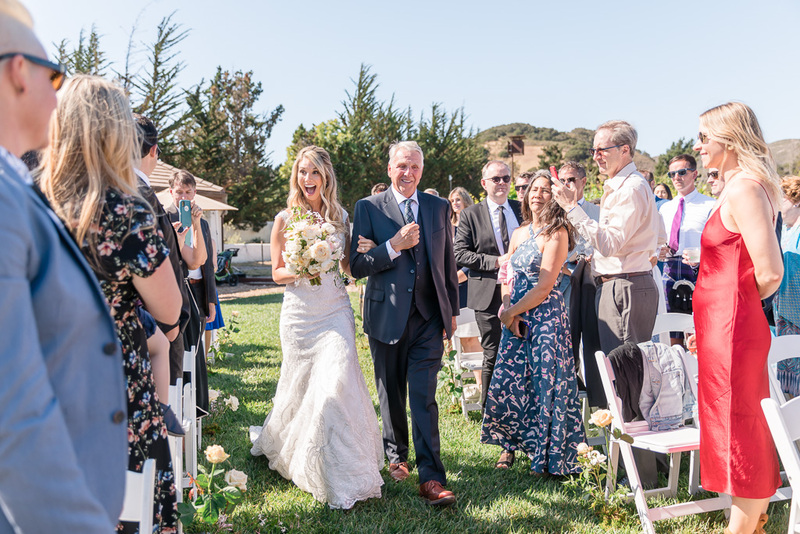 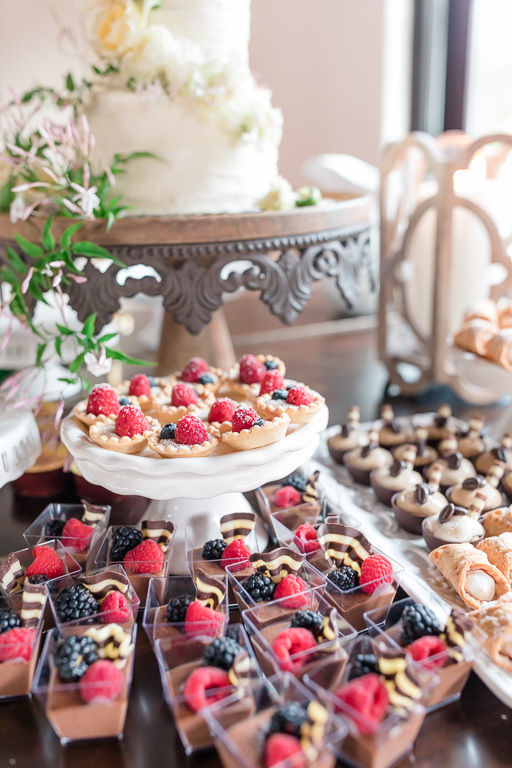 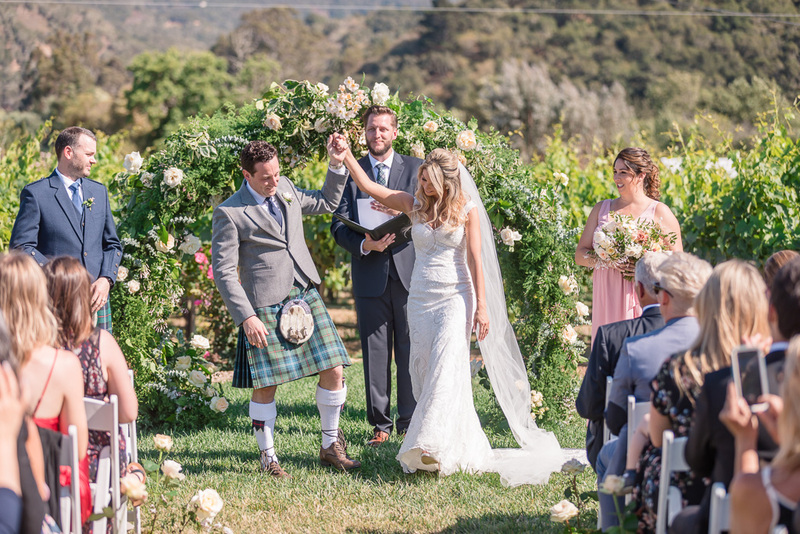 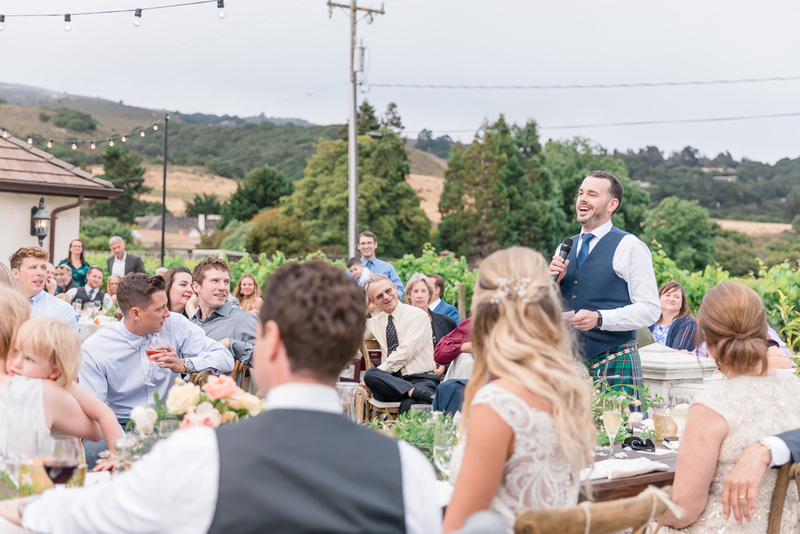 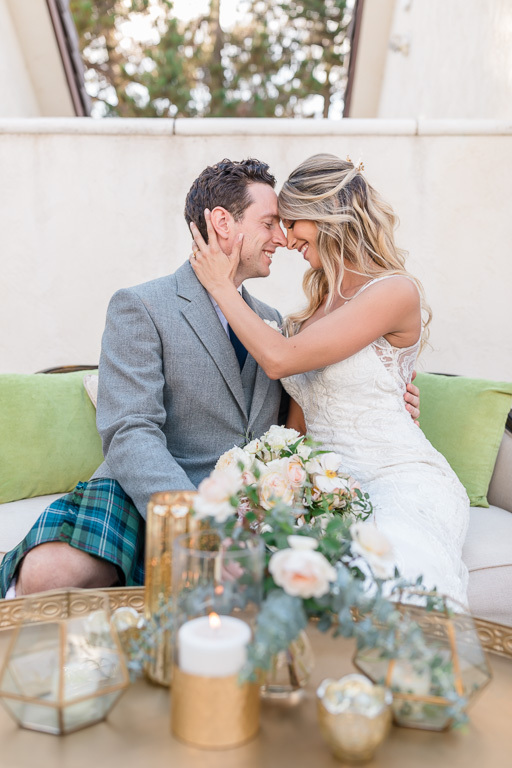 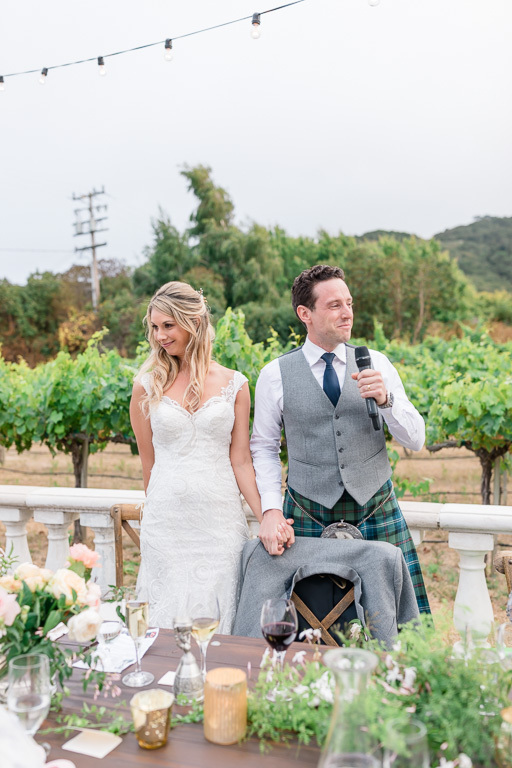 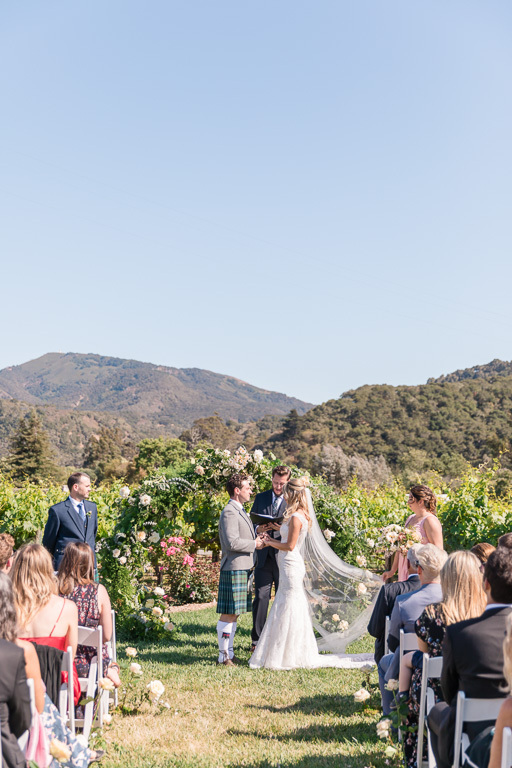 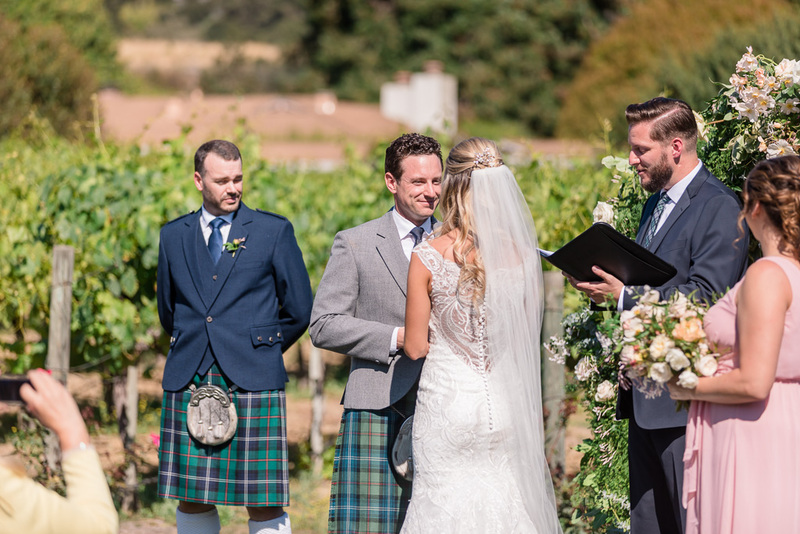 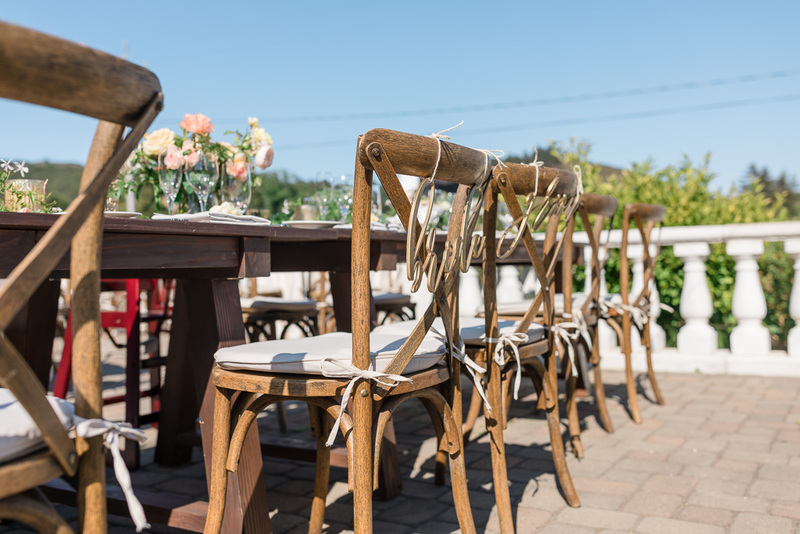 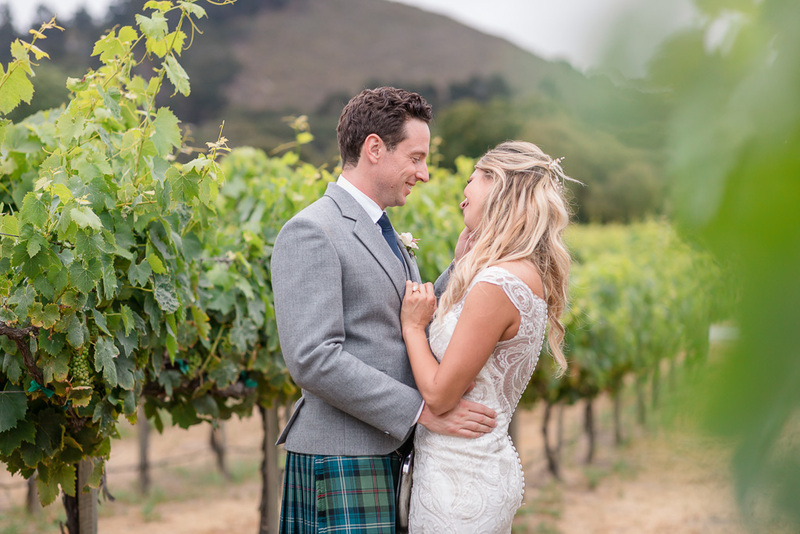 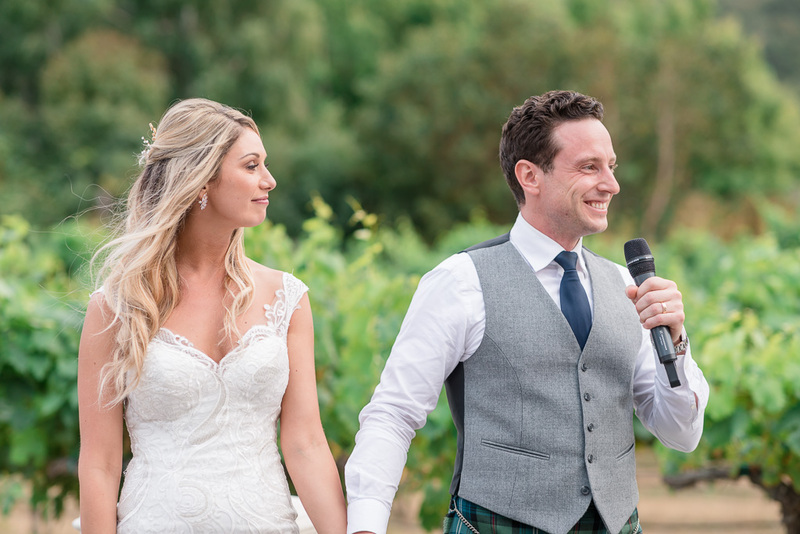 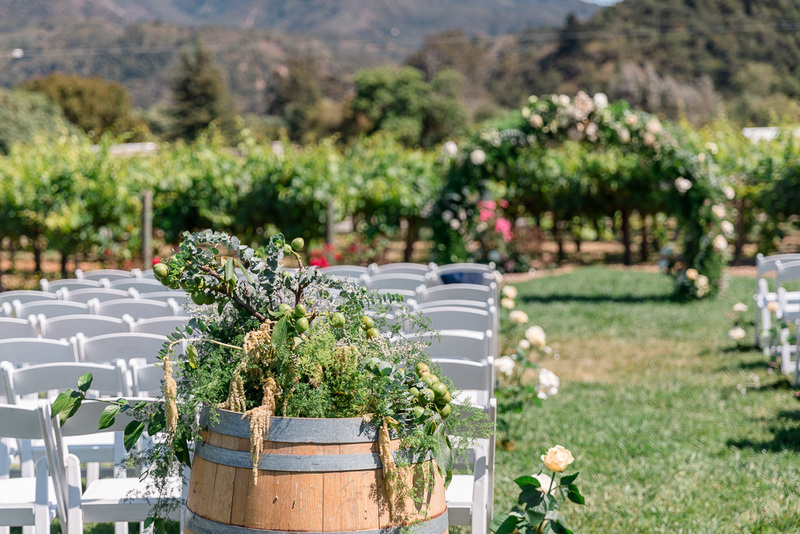 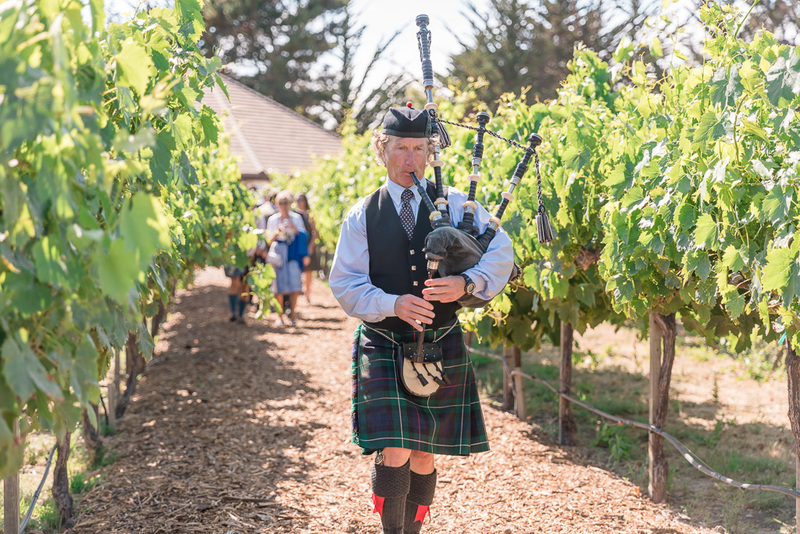 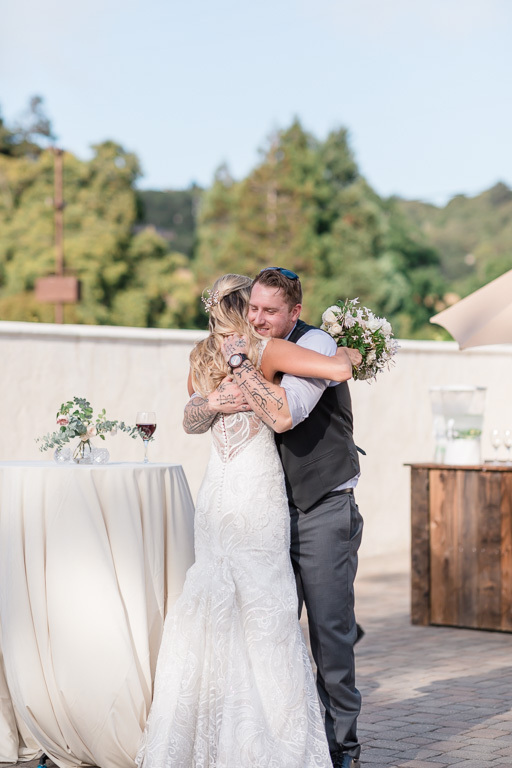 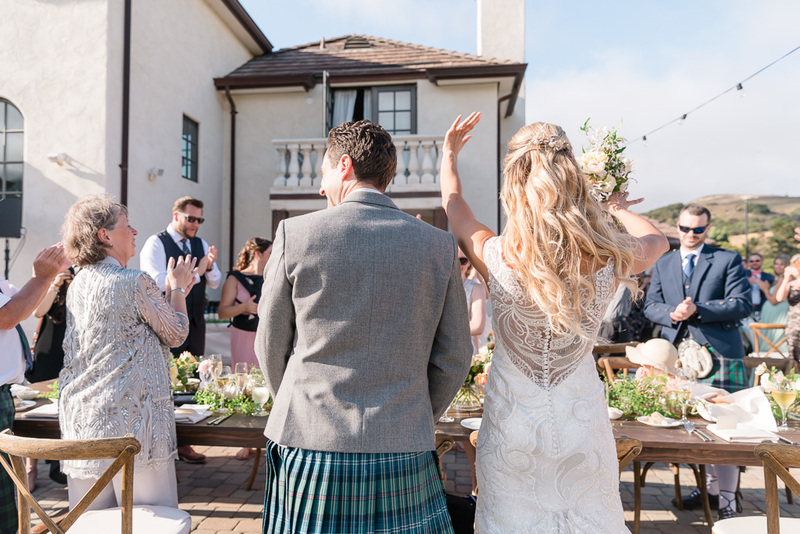 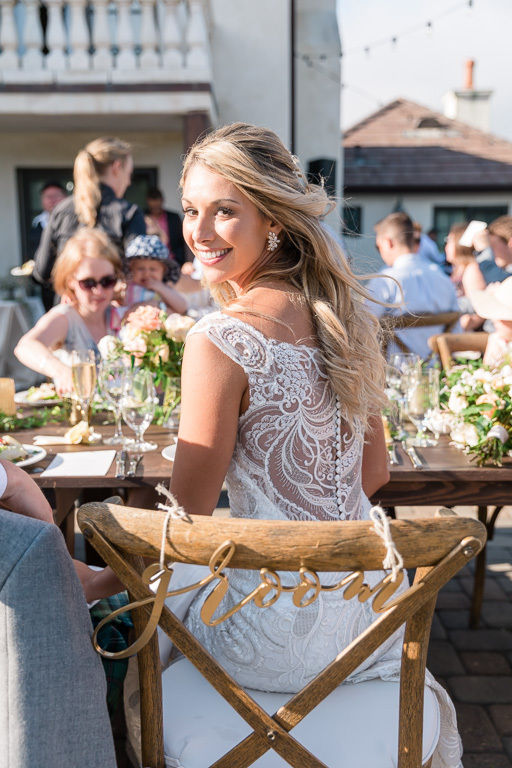 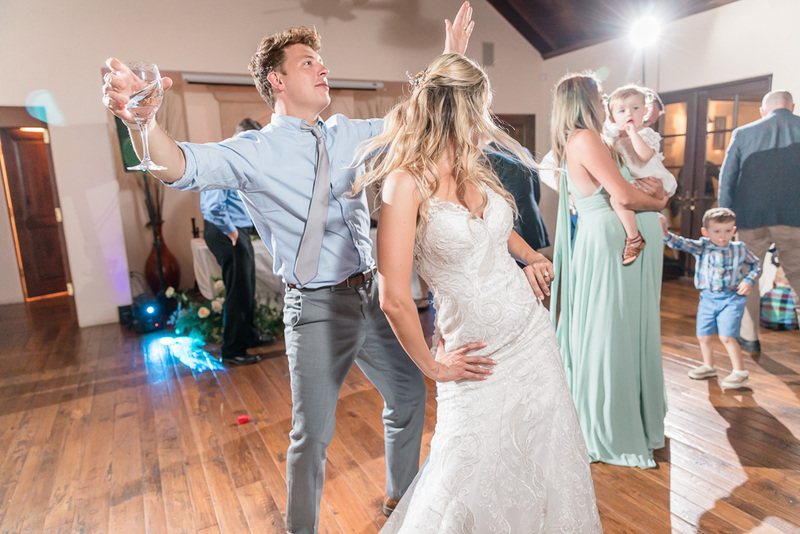 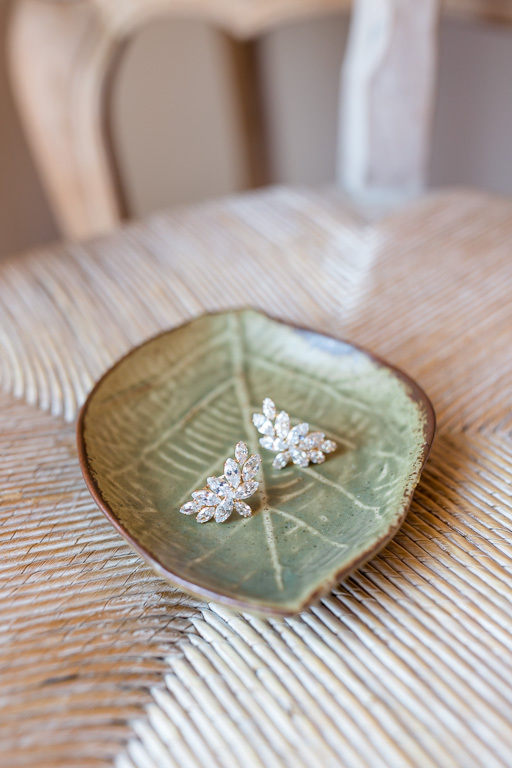 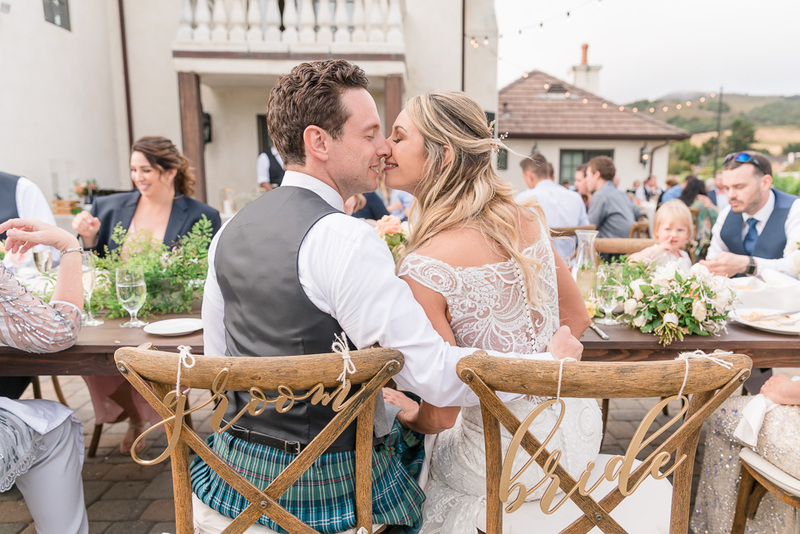 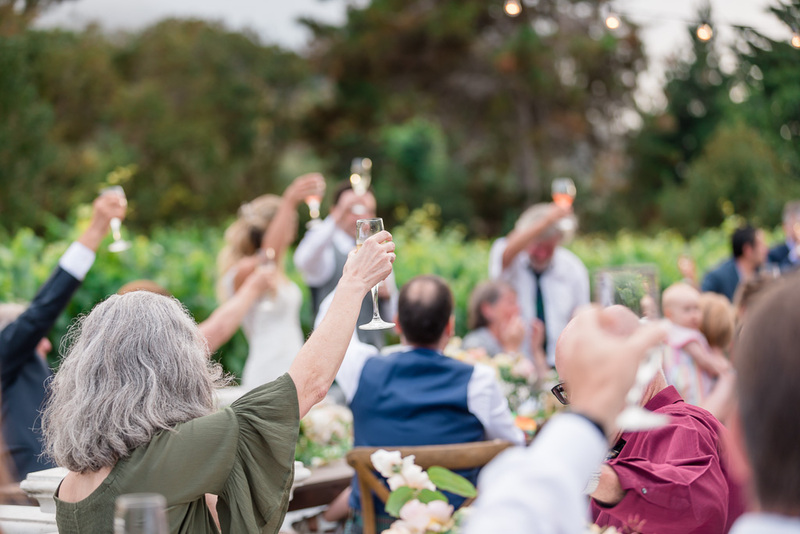 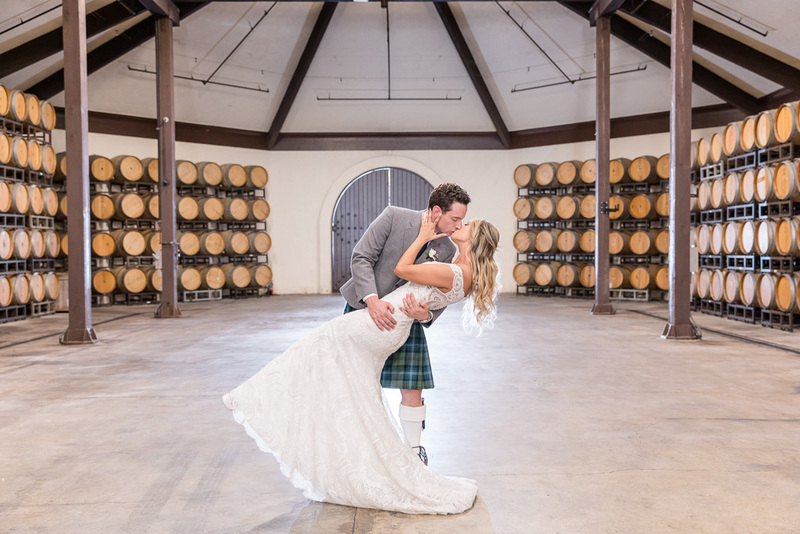 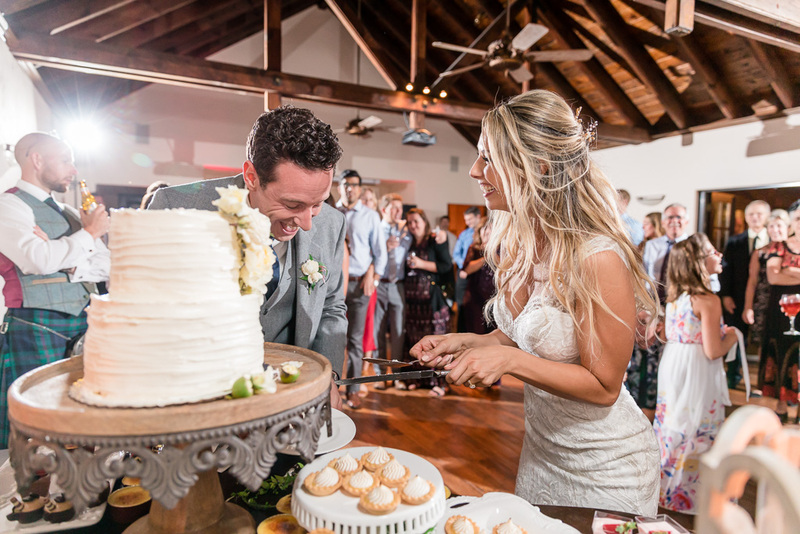 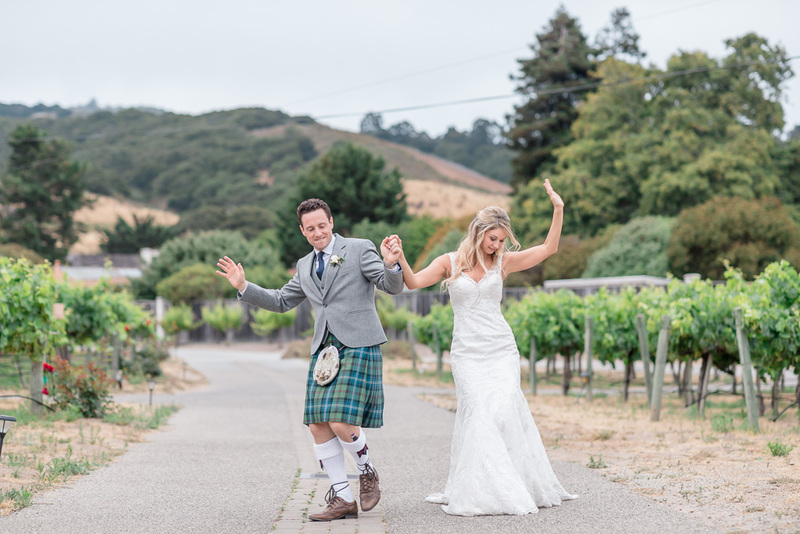 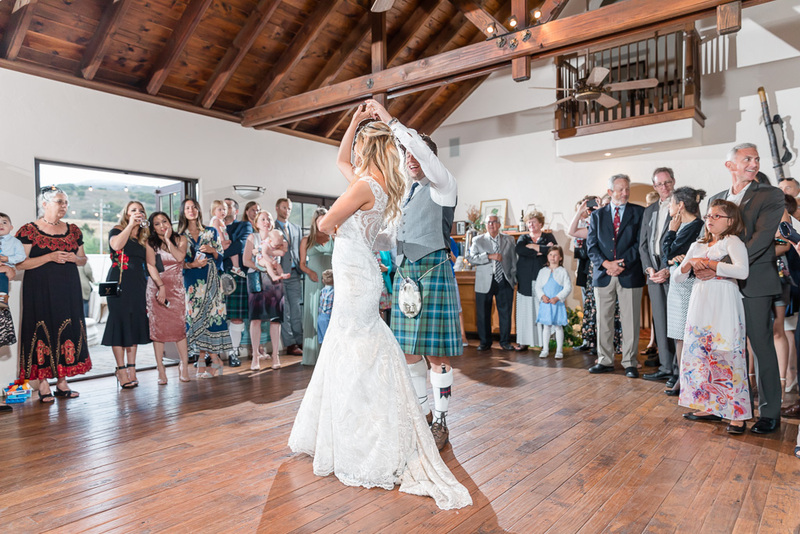 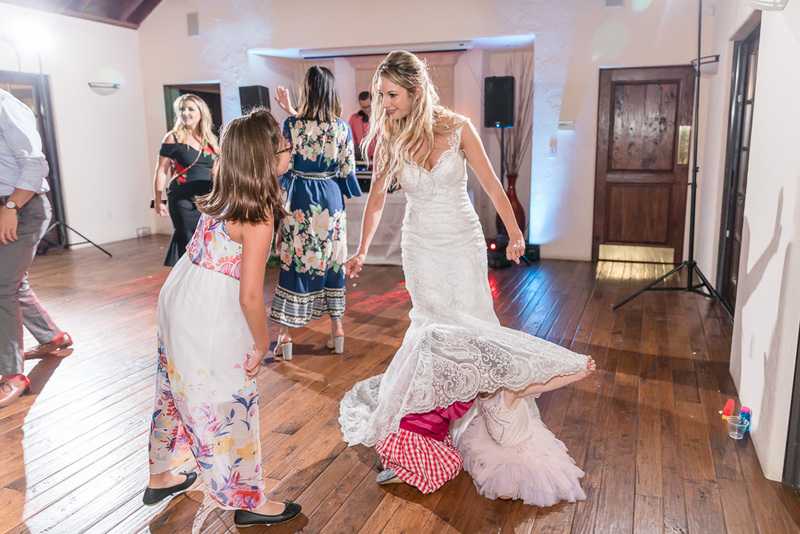 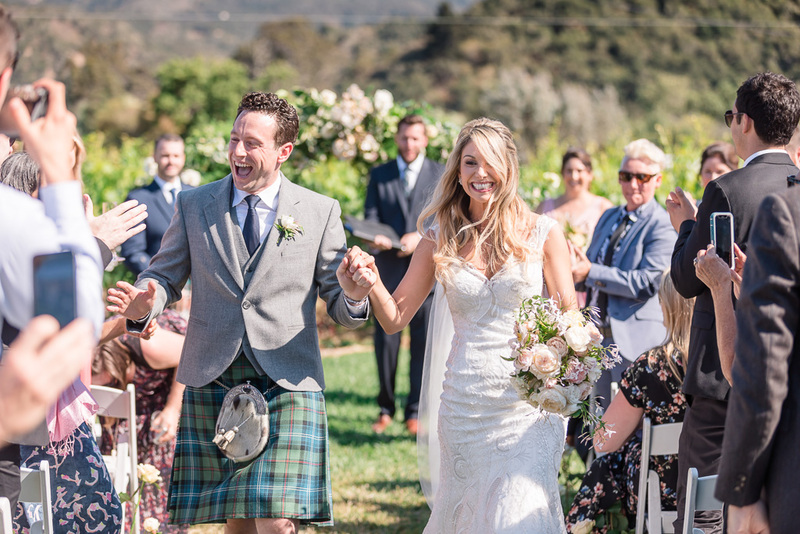 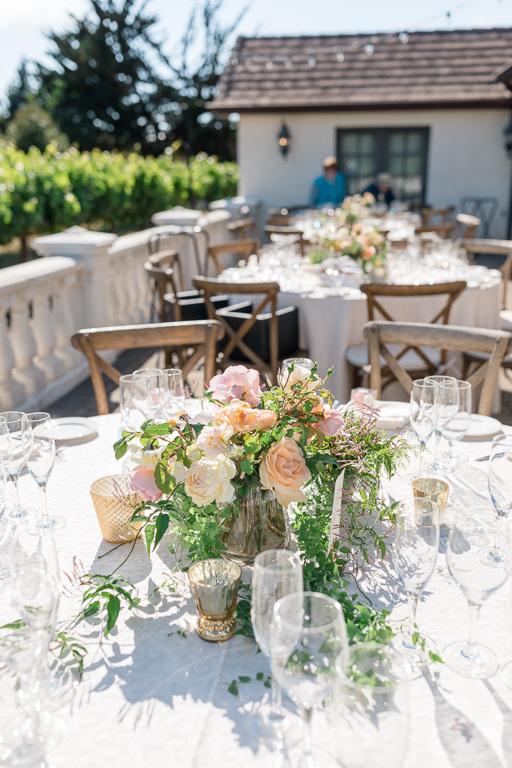 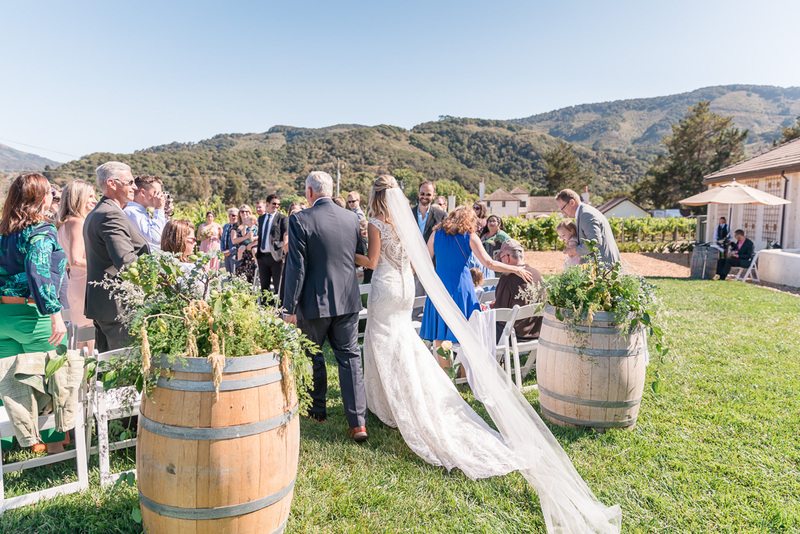 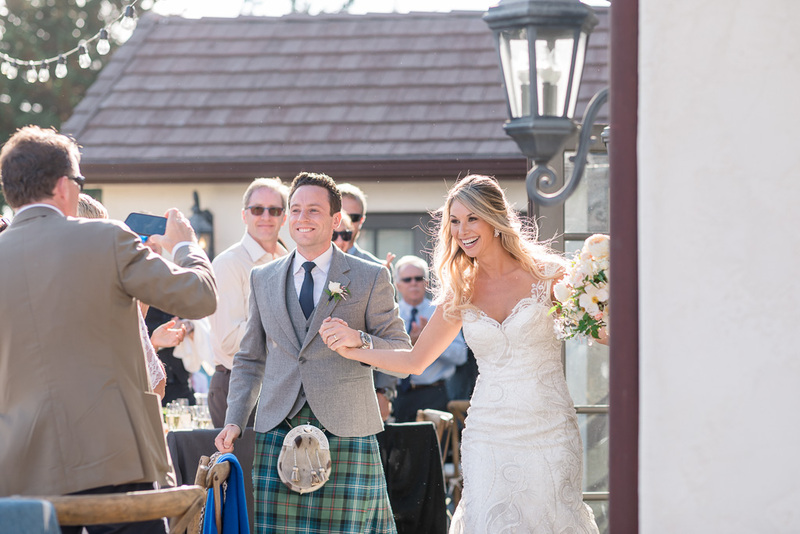 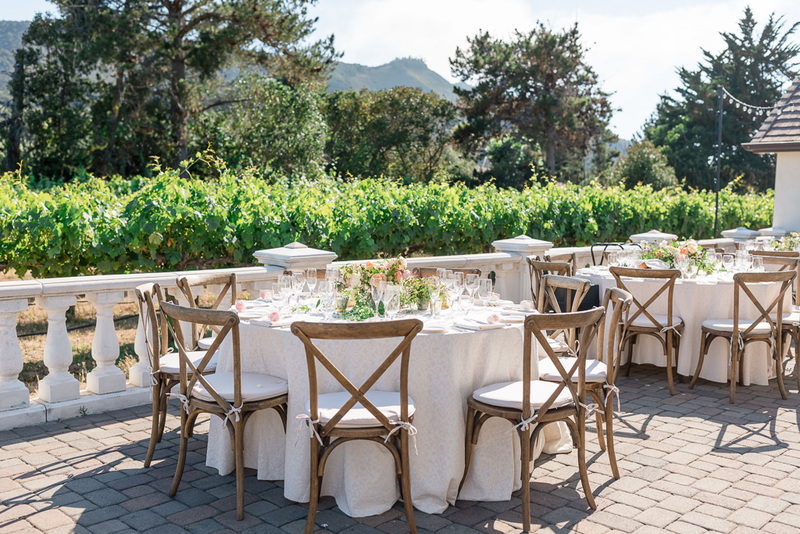 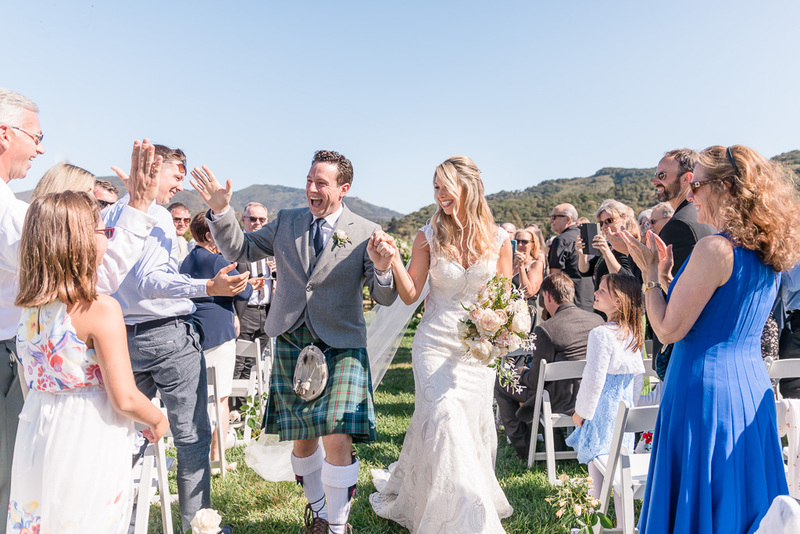 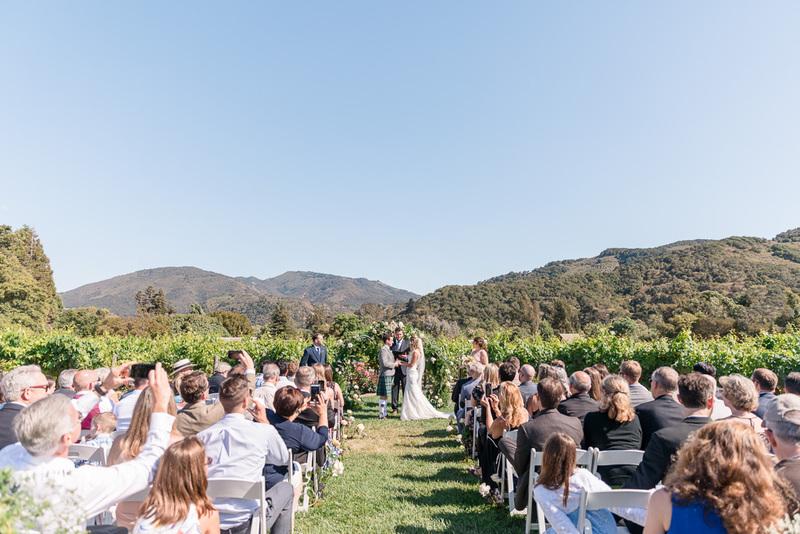 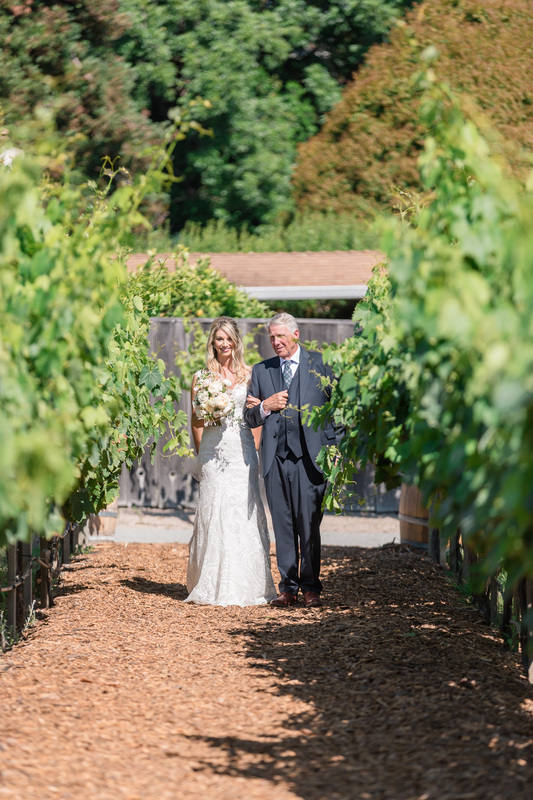 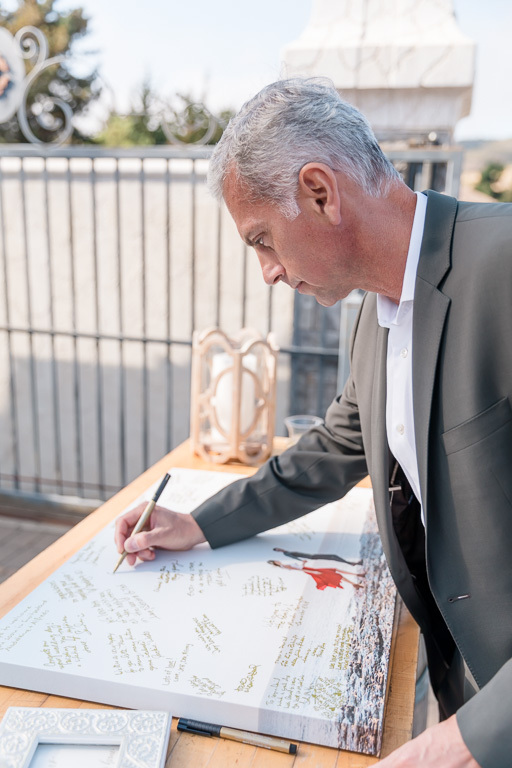 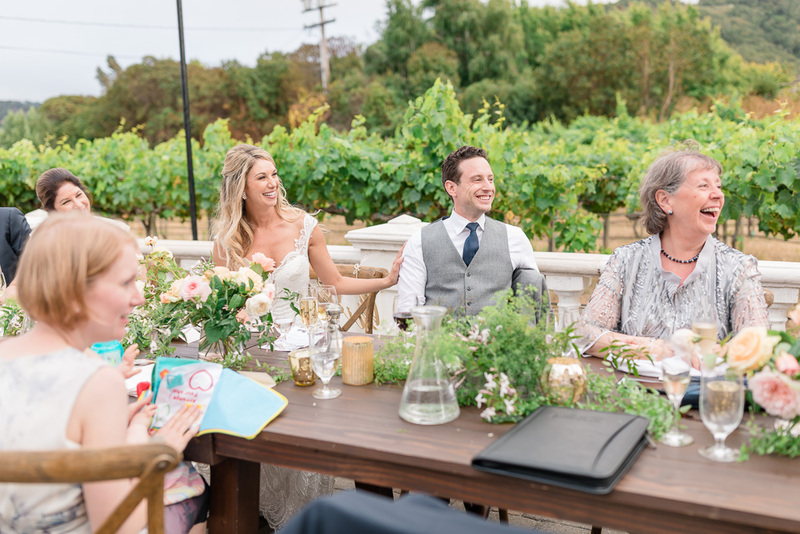 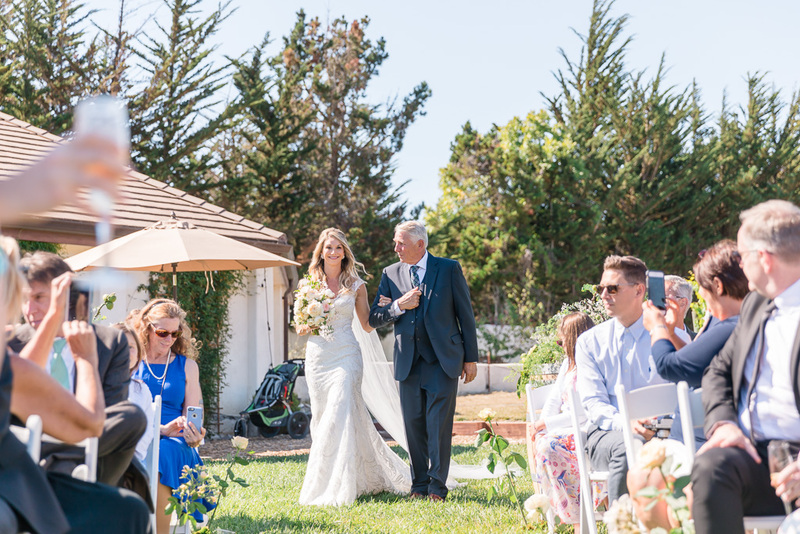 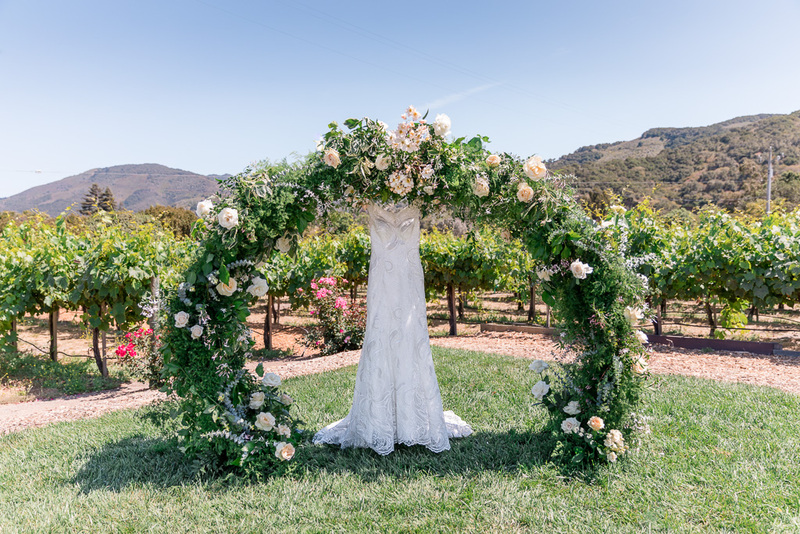 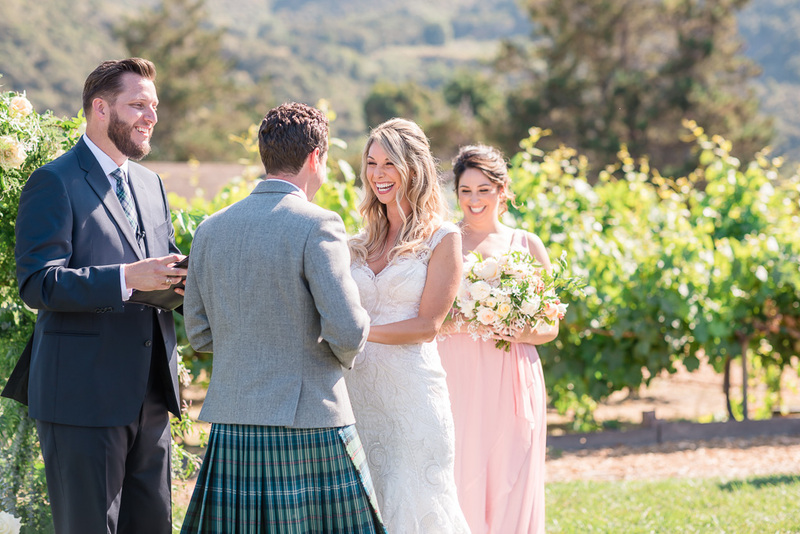 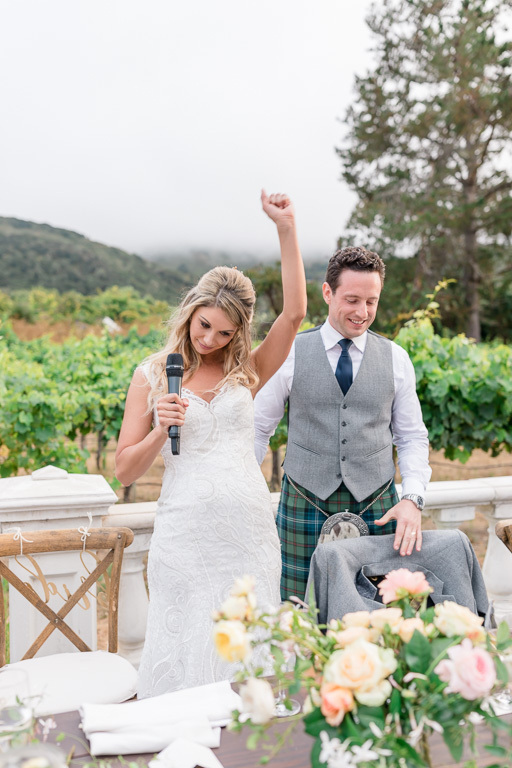 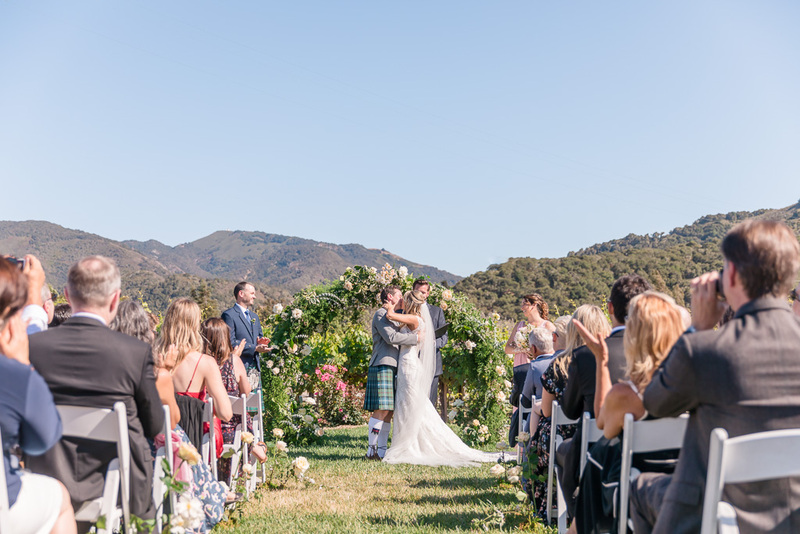 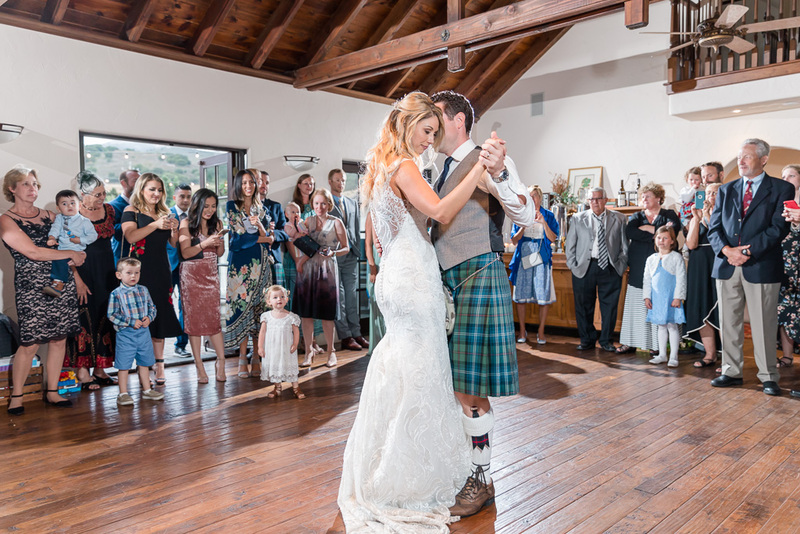 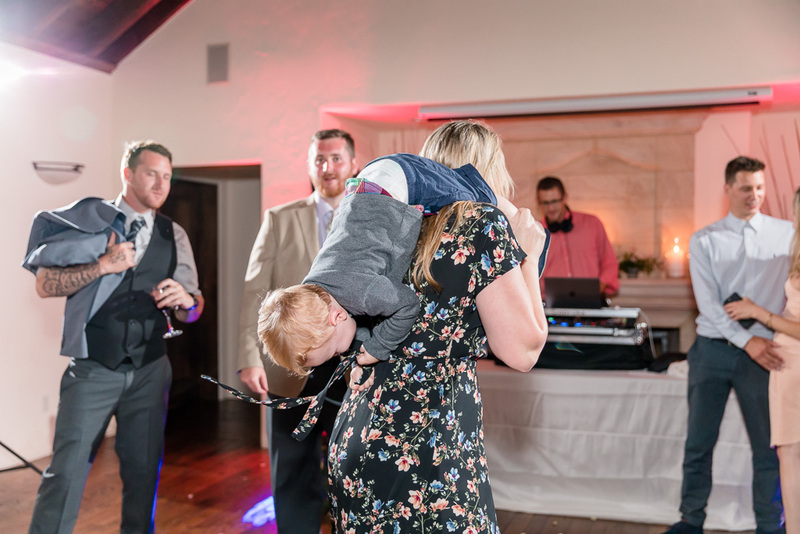 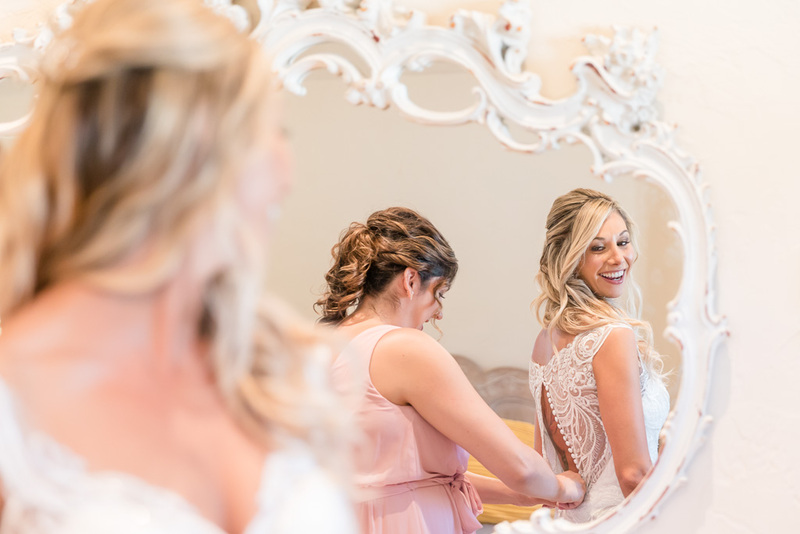 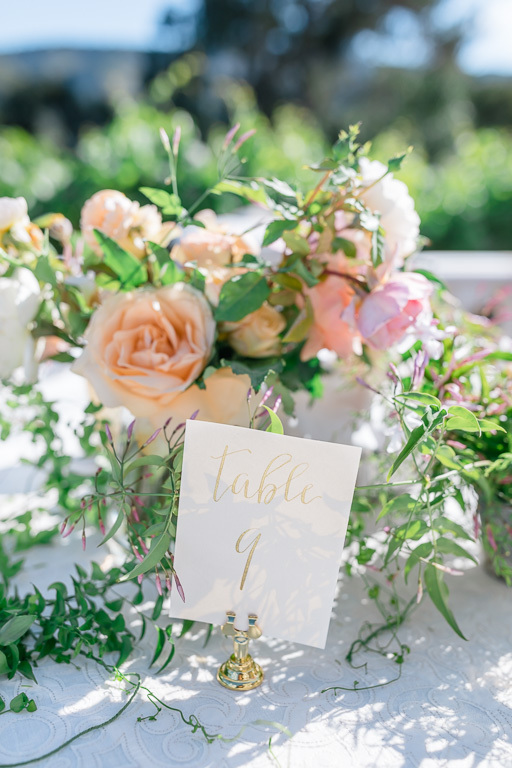 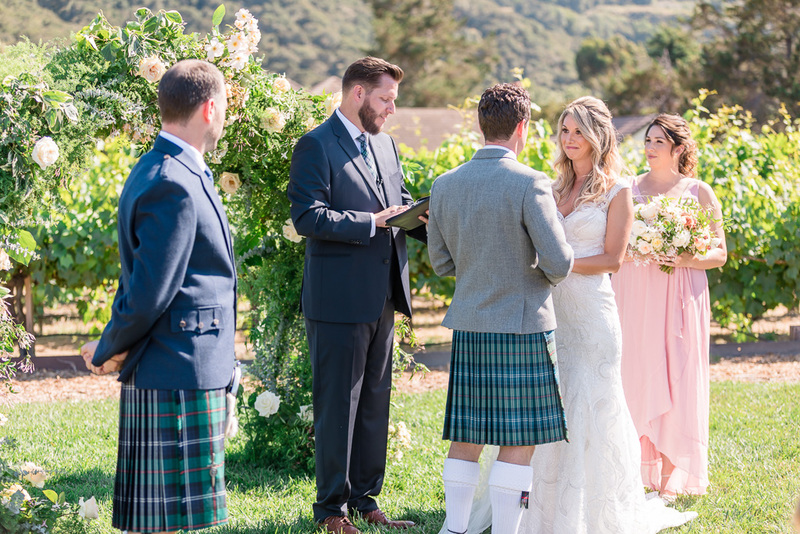 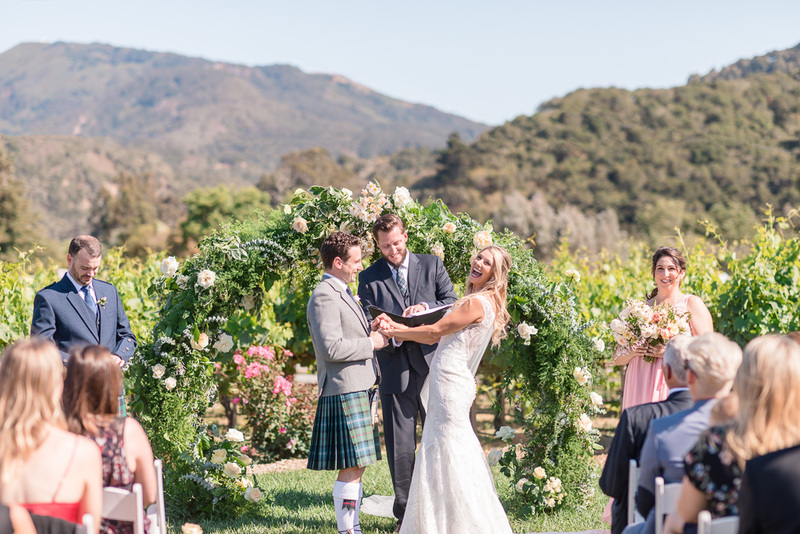 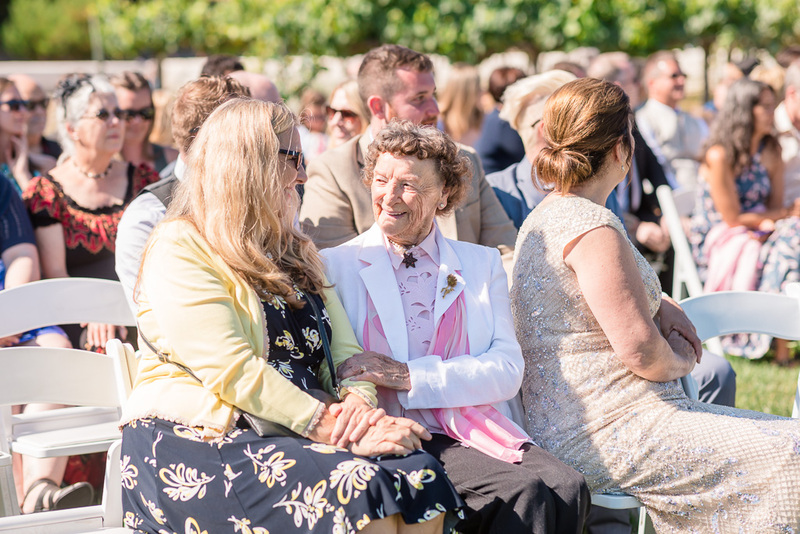 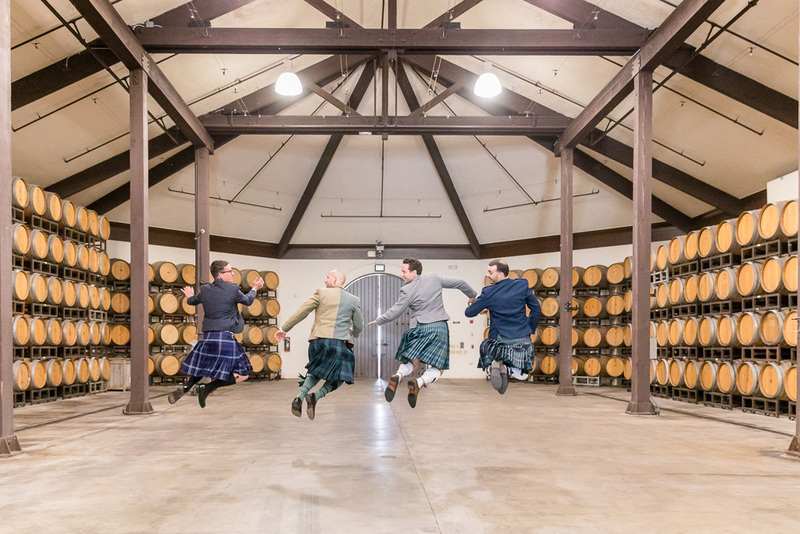 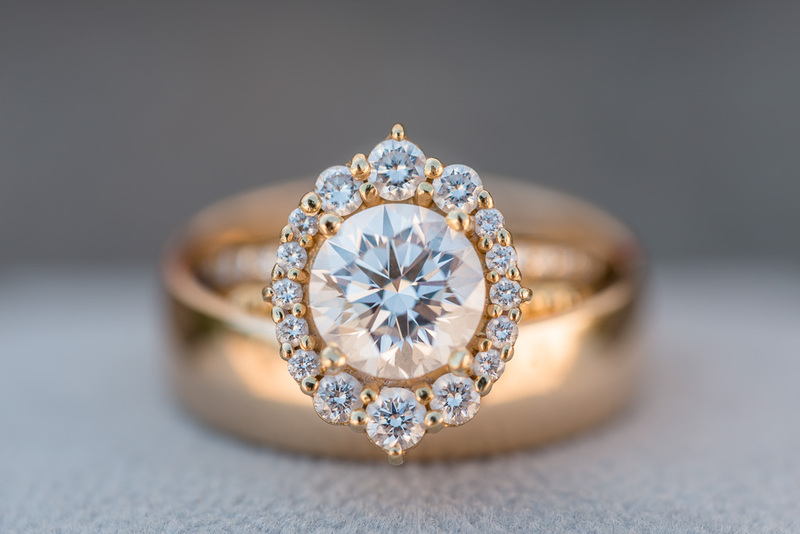 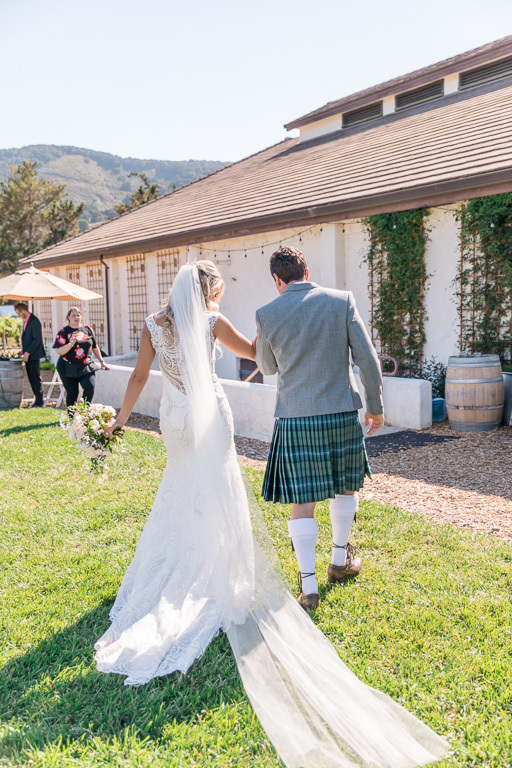 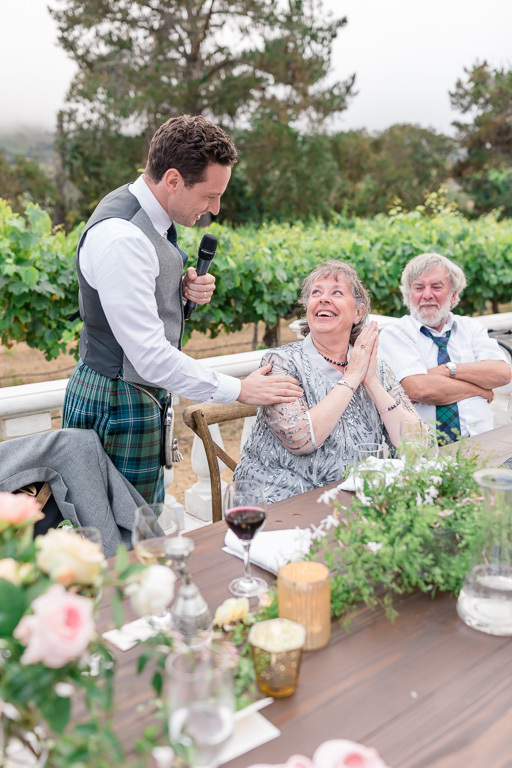 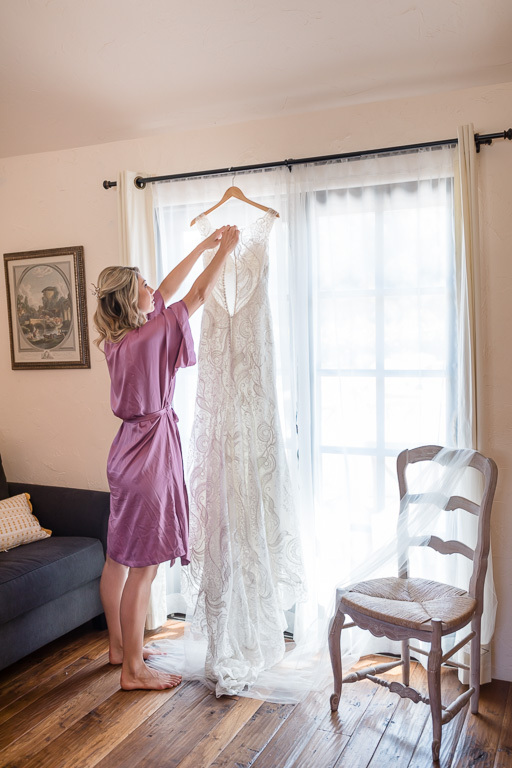 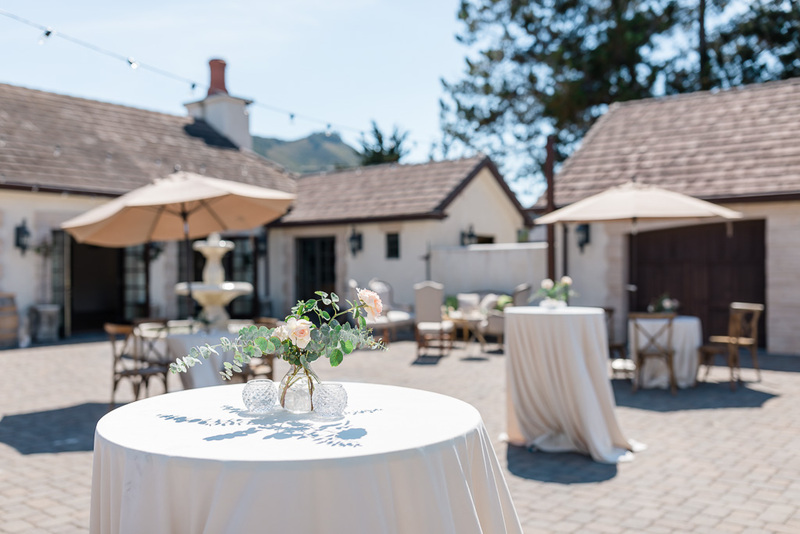 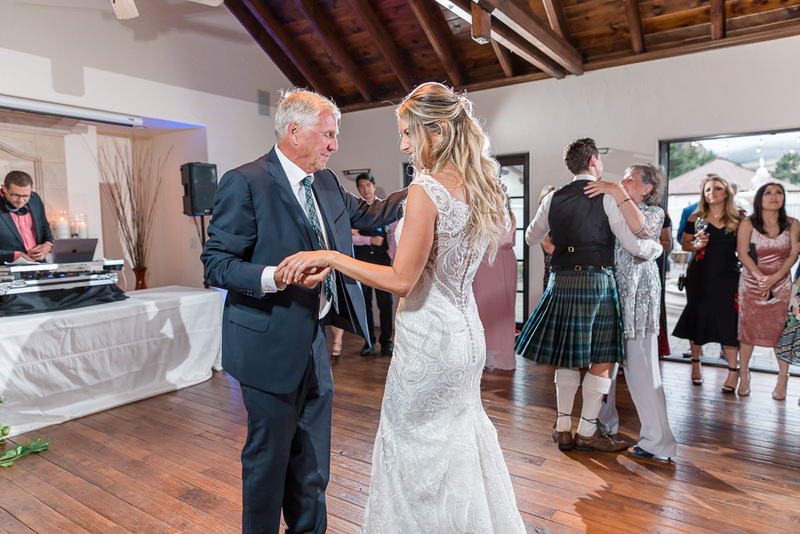 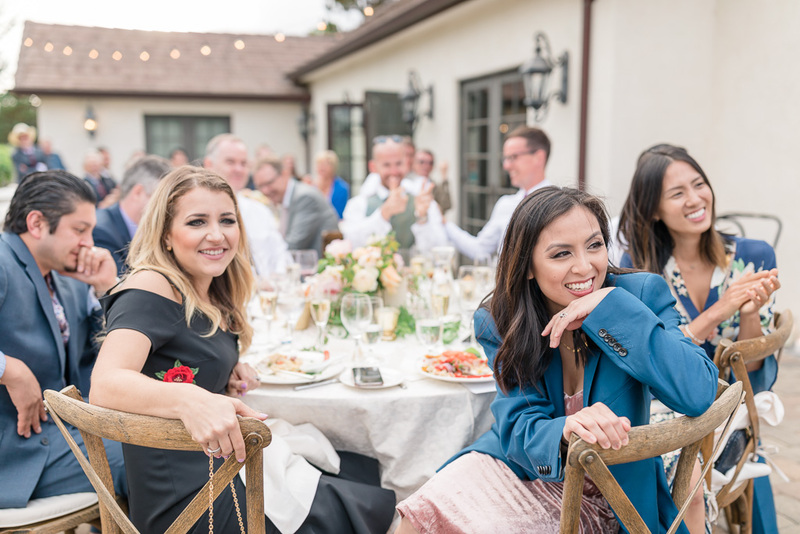 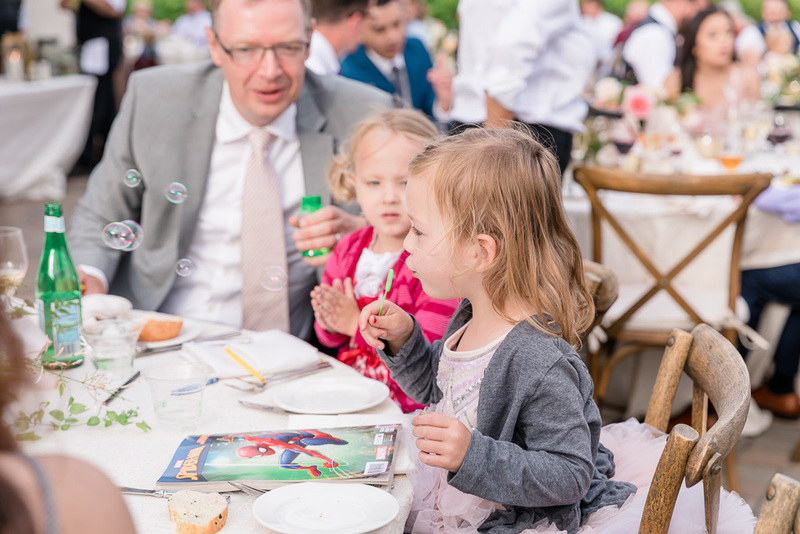 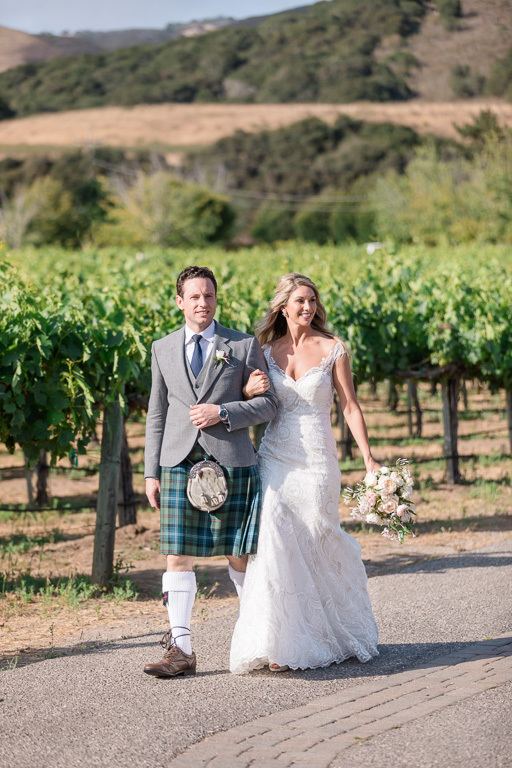 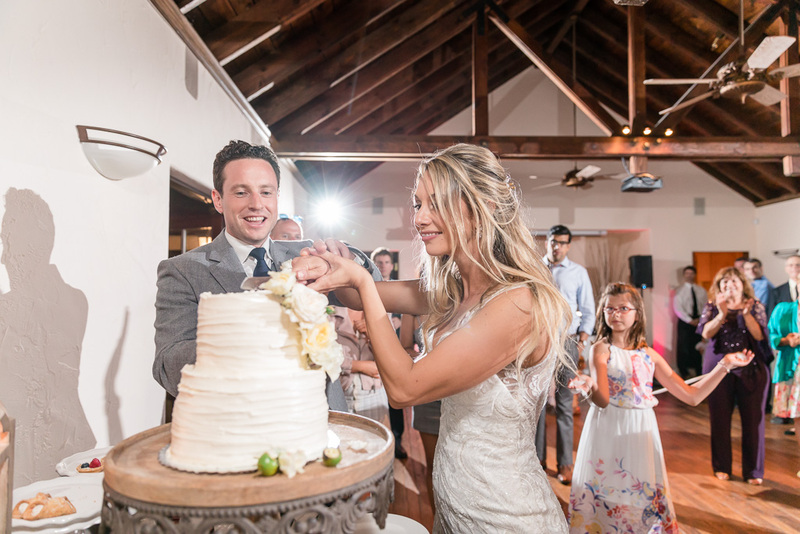 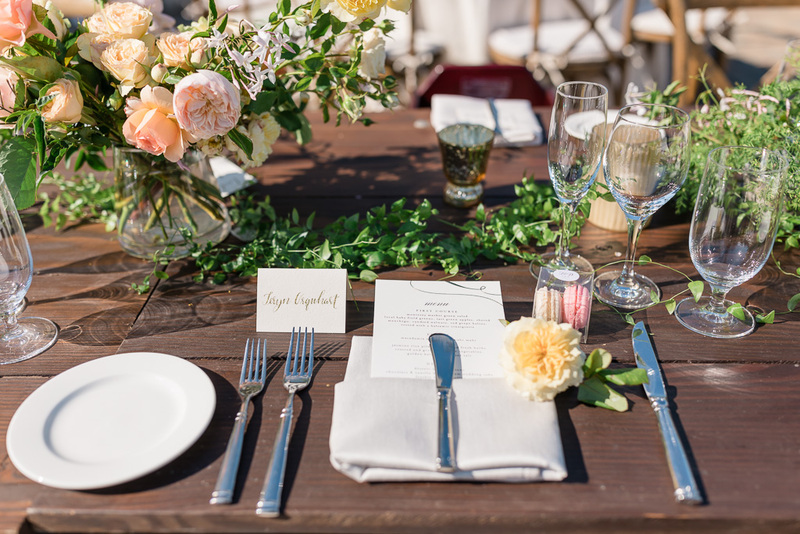 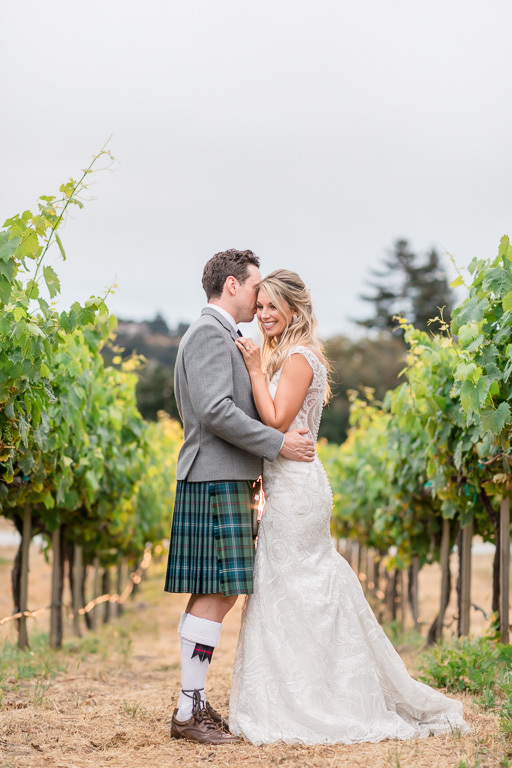 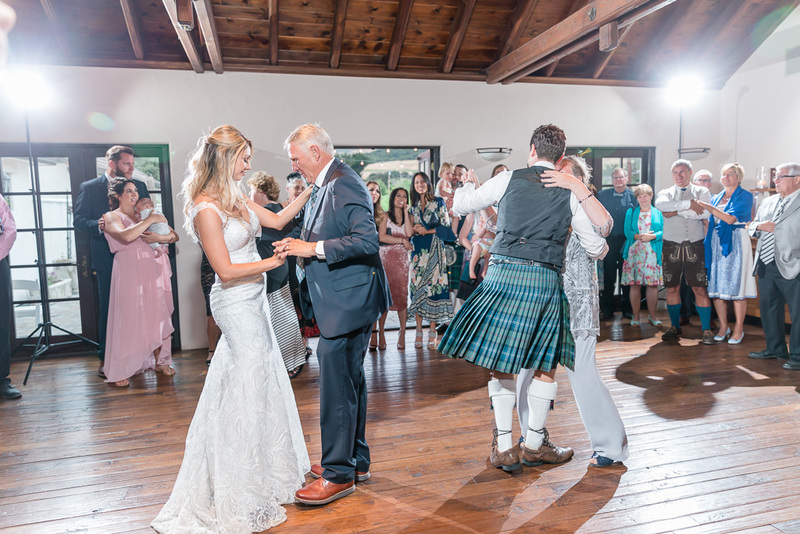 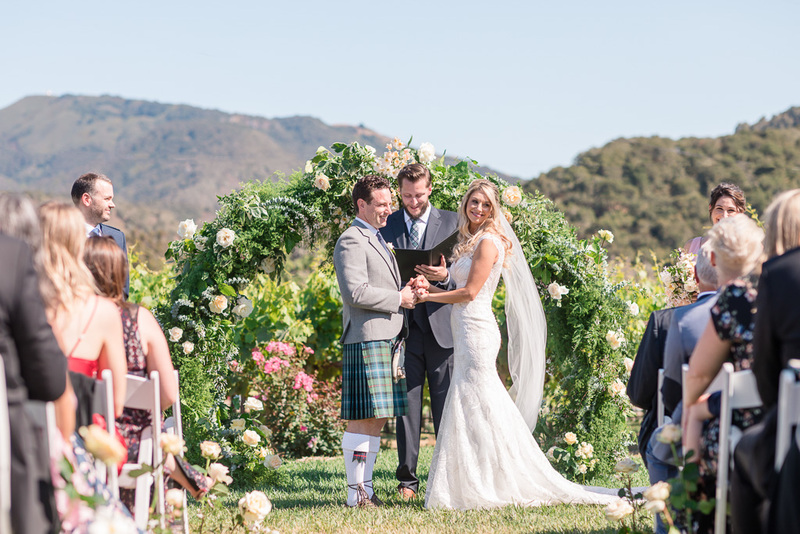 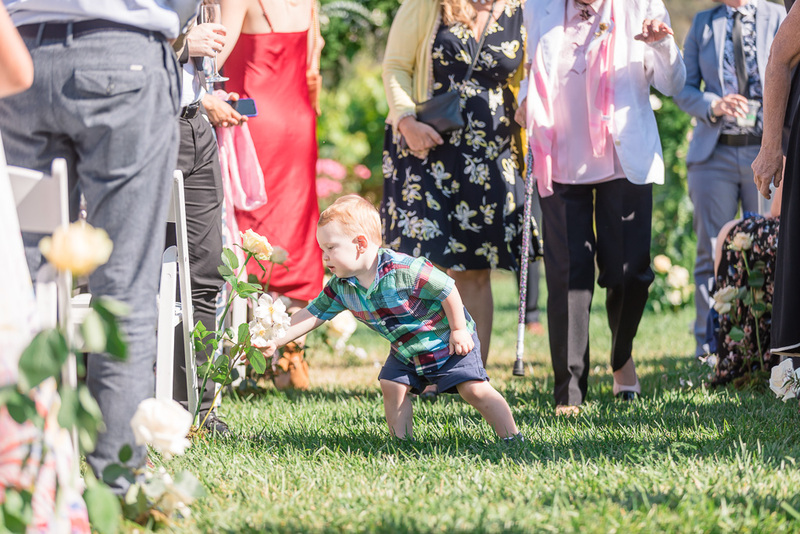 This July, we finally joined them at their Carmel-by-the-Sea wedding at Folktale Winery and Vineyards, where they tied the knot and said their vows in front of their family & friends. 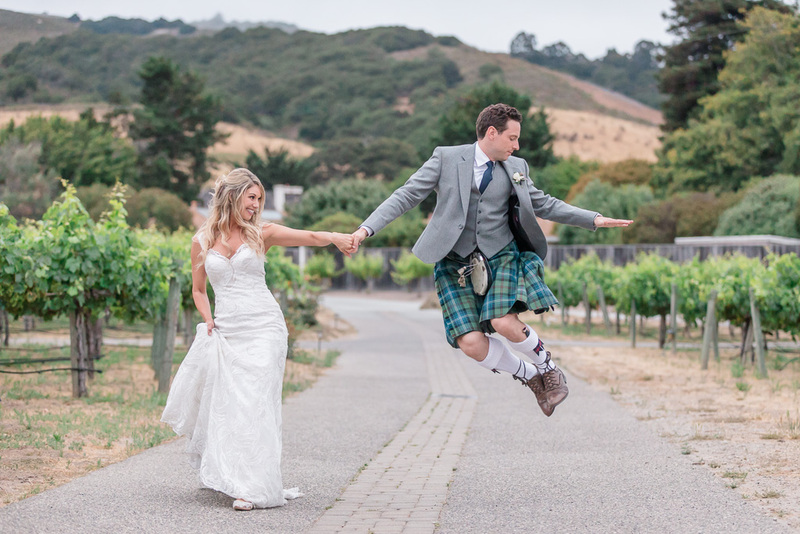 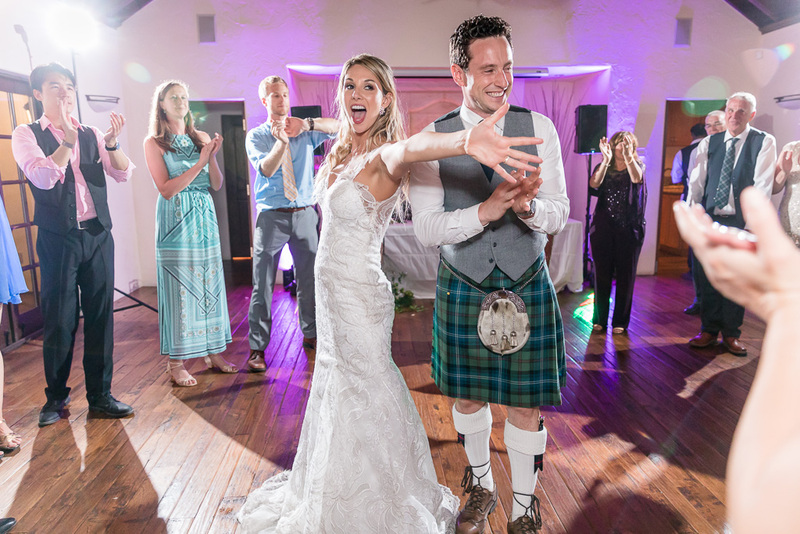 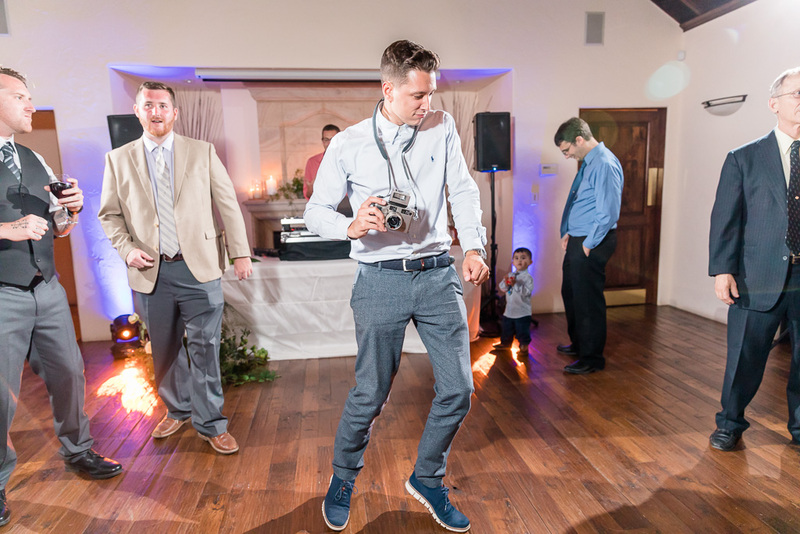 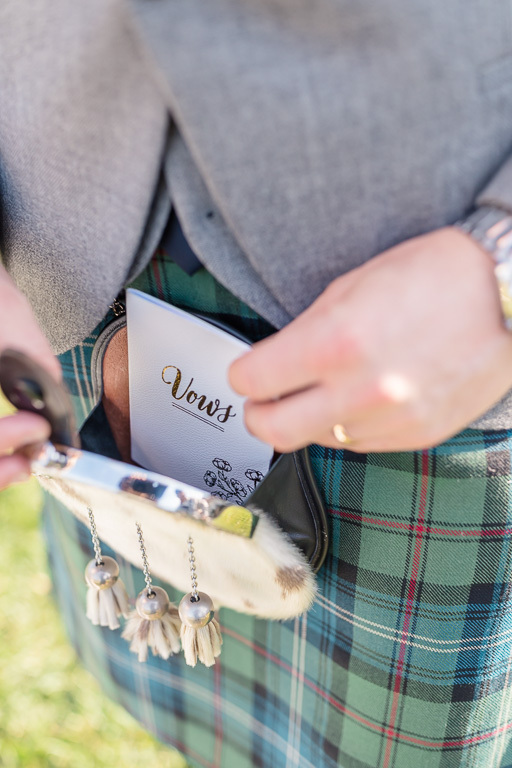 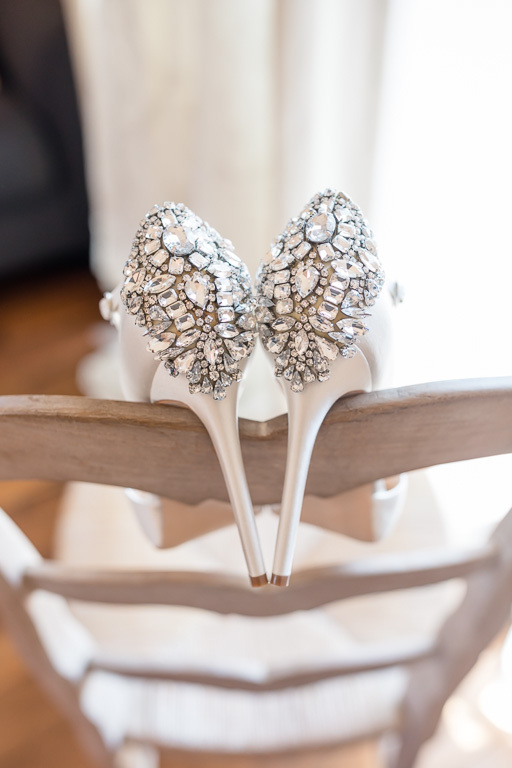 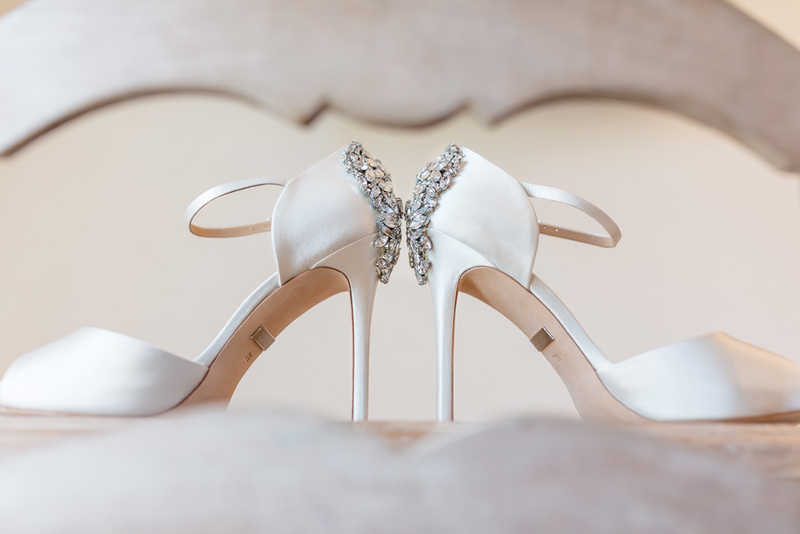 Their wedding day was filled with fun, love, and excitement. 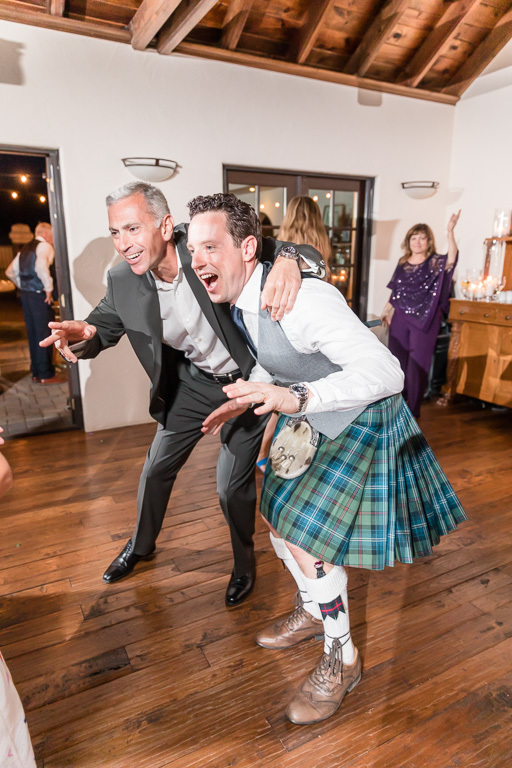 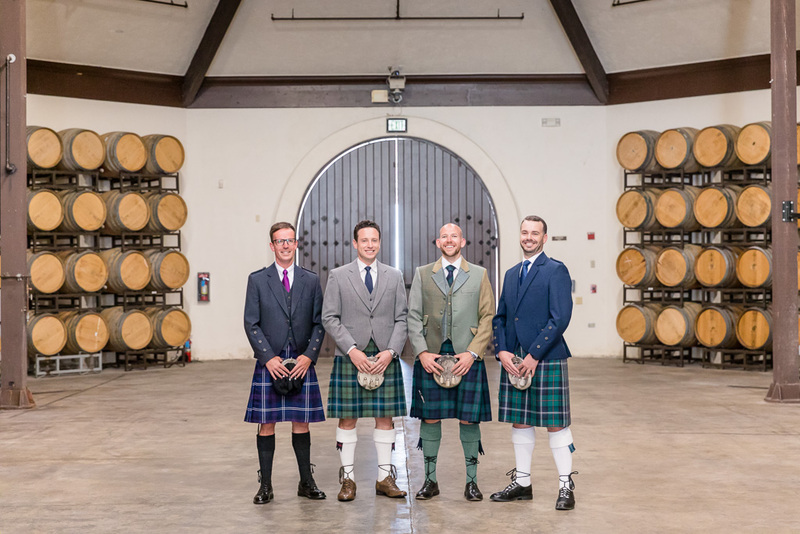 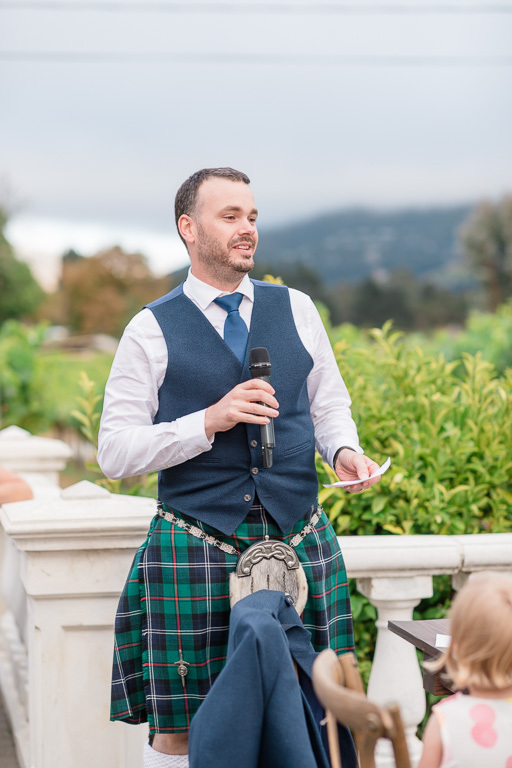 David added a bit of Scottish flavor to the celebration as well: he and his guys dressed traditionally, complete with kilt, sporran, and sgian. 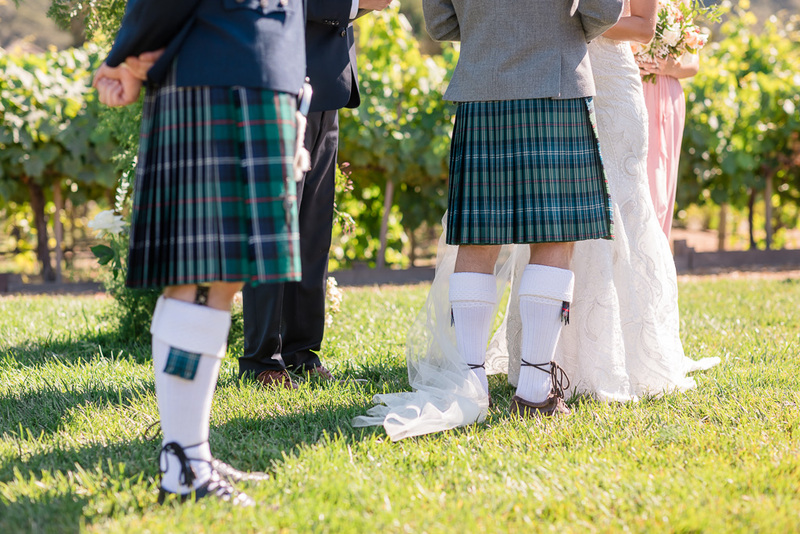 (In case you’re wondering… yes, I definitely Googled those.) 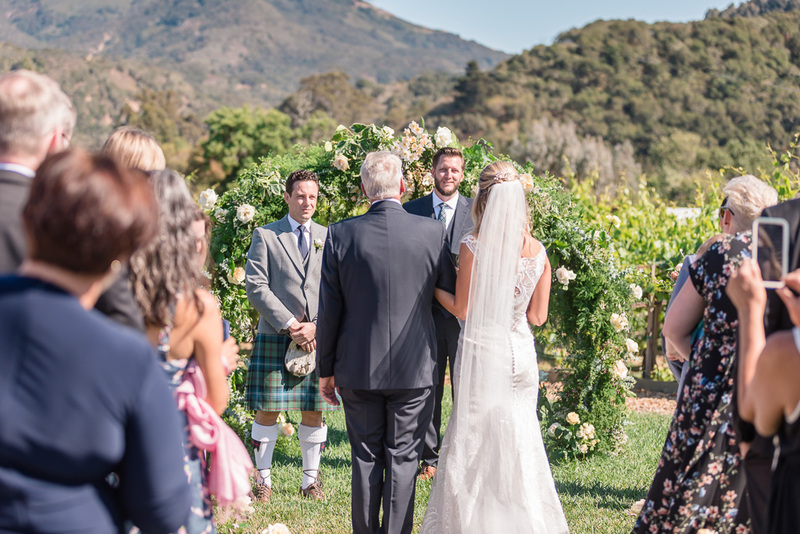 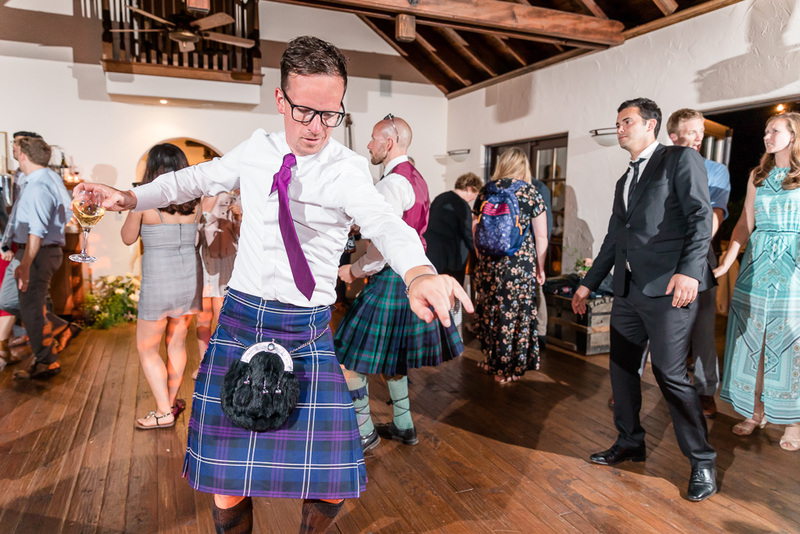 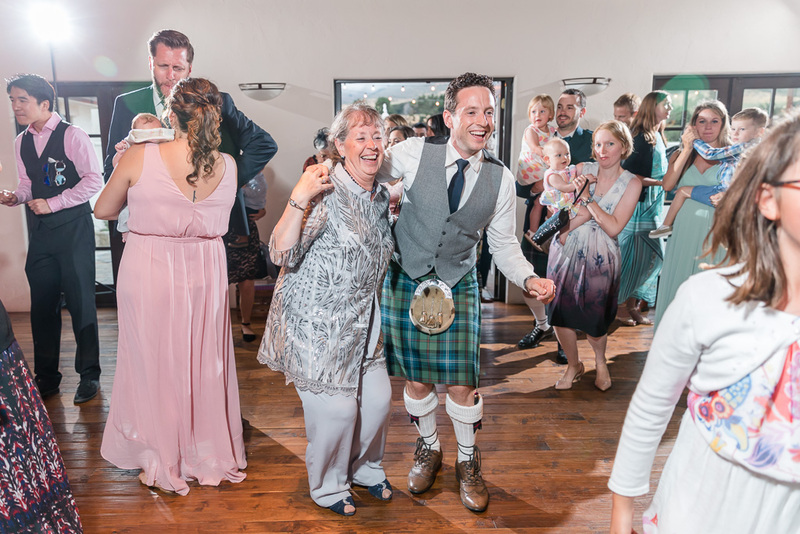 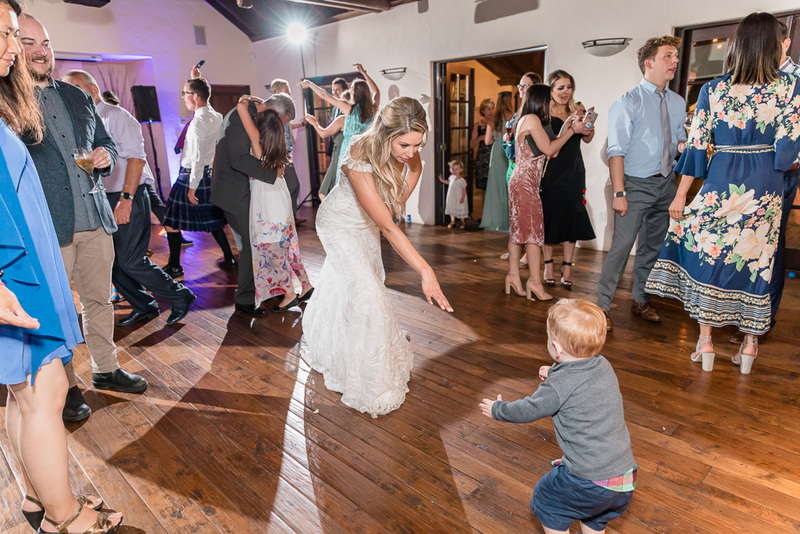 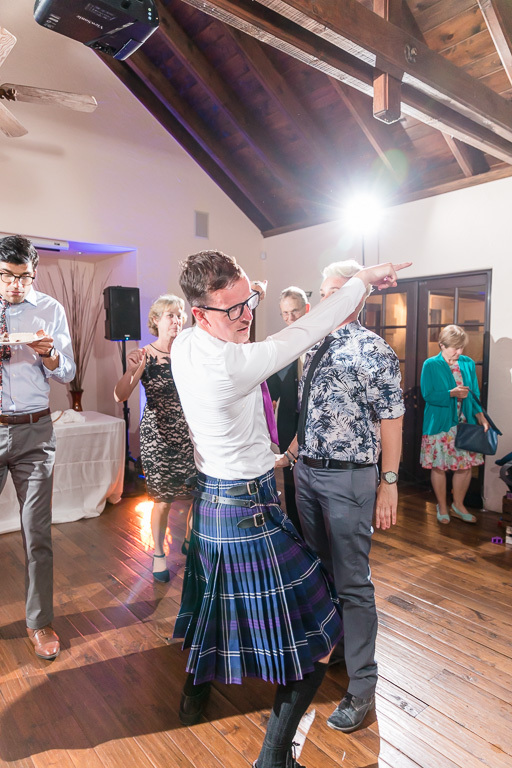 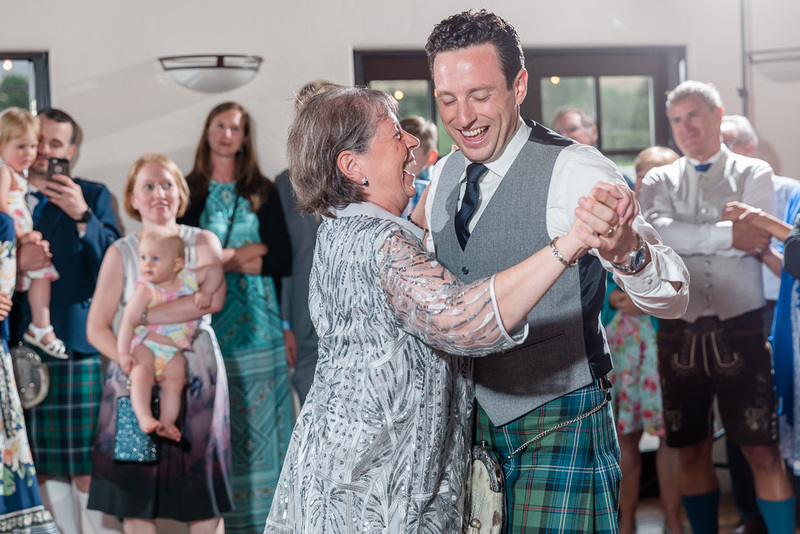 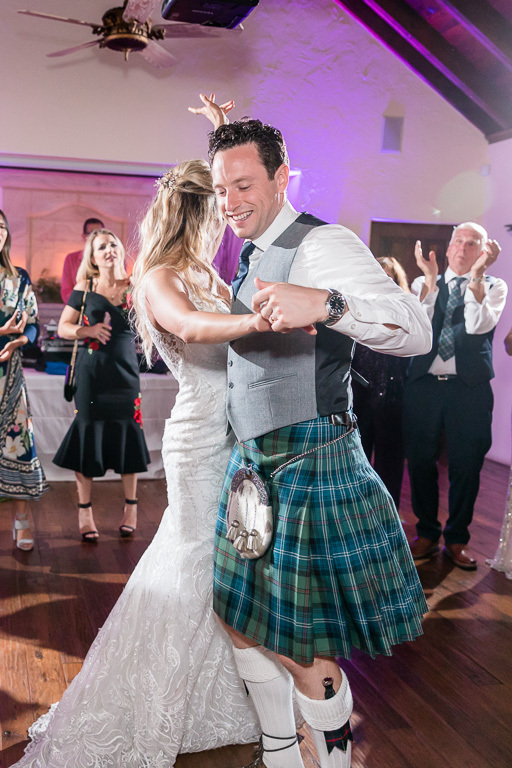 There was even a bagpiper who played music for the guests before the ceremony and led everyone to the reception afterwards. 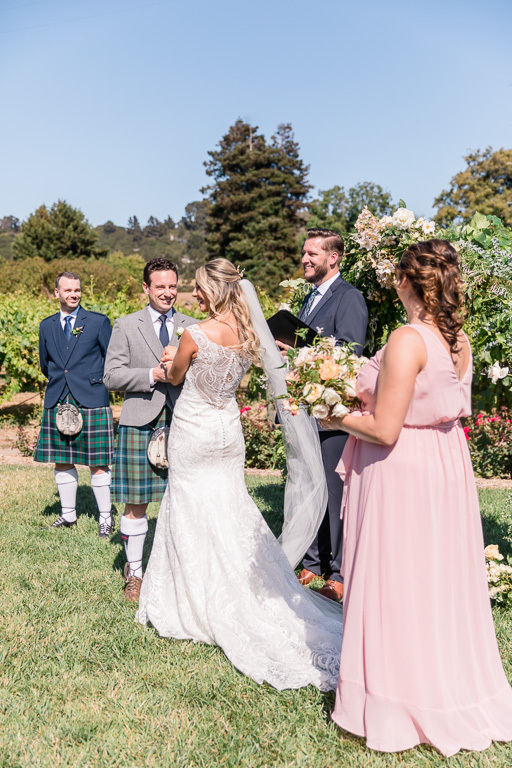 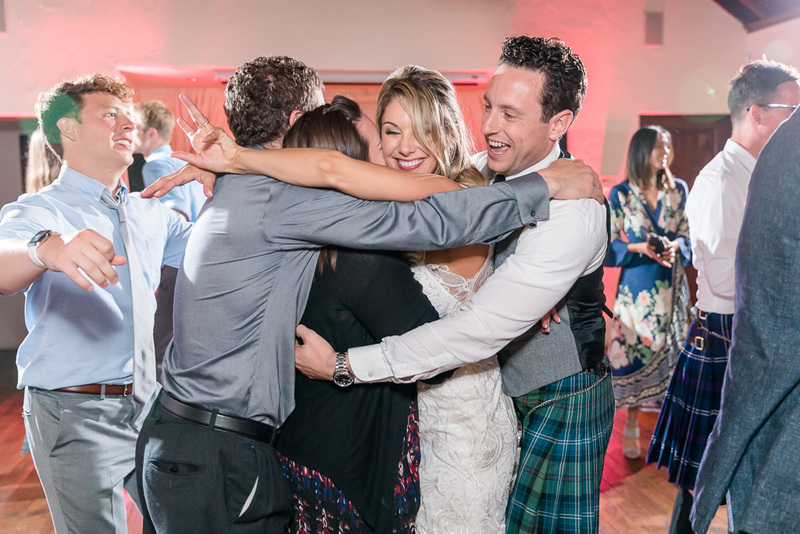 David & Teryn are just so in love, and the little moments, the way they looked at and interacted with each other, that’s what we enjoyed most about this day. 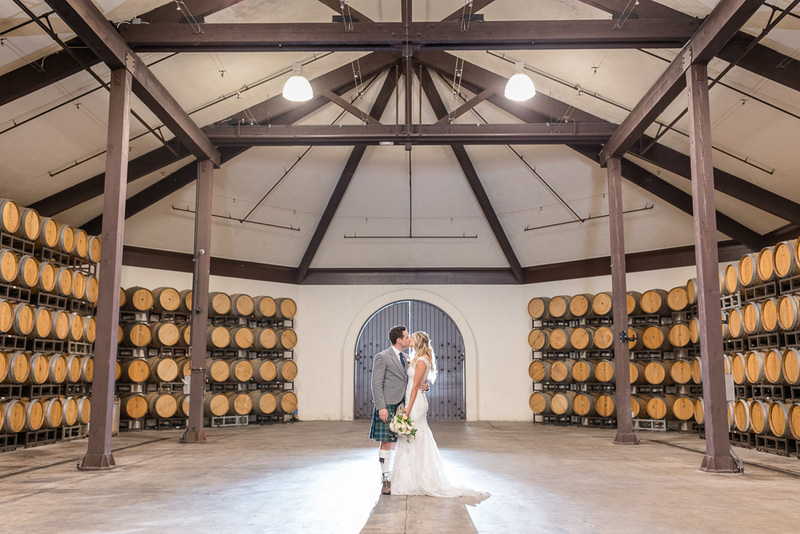 It certainly didn’t hurt that Folktale Winery was the perfect location, with so many great spots to take photos, so we got to take advantage of that and spend plenty of portrait time with this beautiful couple. 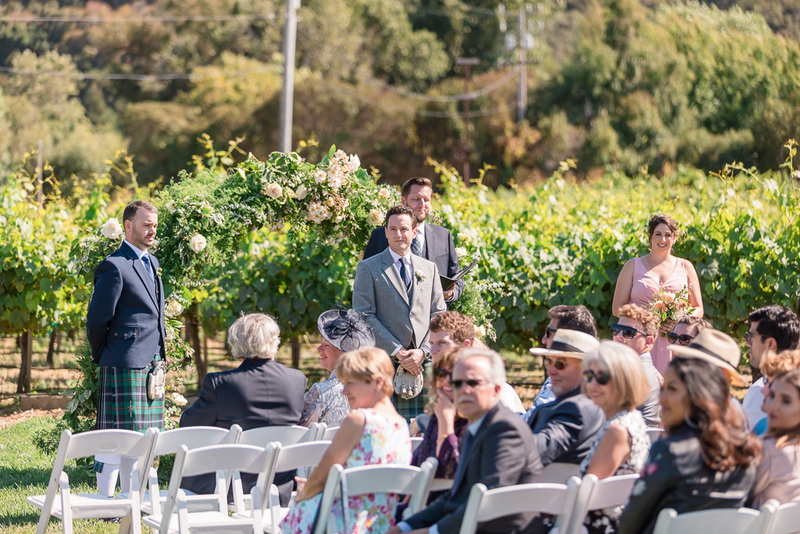 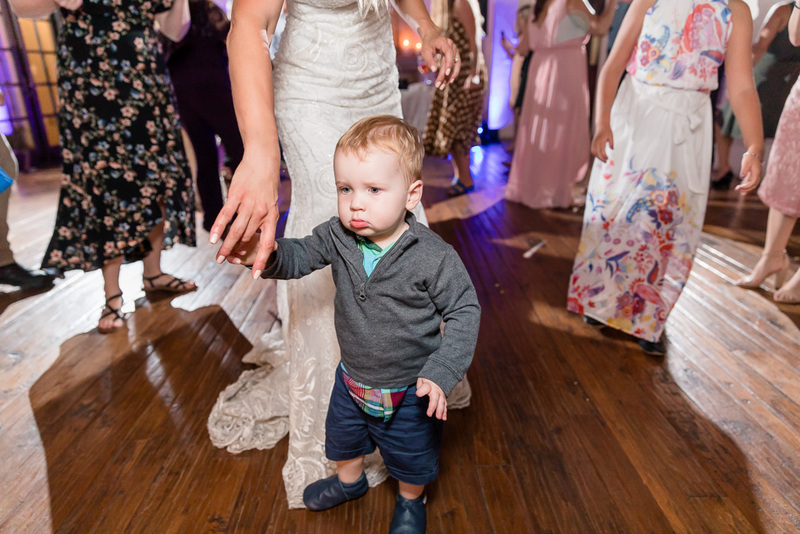 We had been really looking forward to this day for the better part of a year, and now we get to share the photos with you. 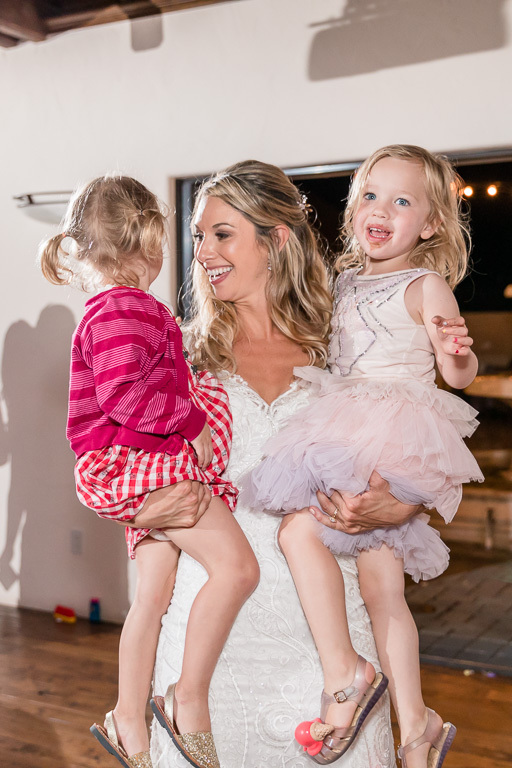 We can’t wait to see what the future holds for them!